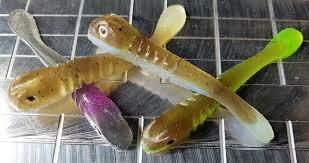 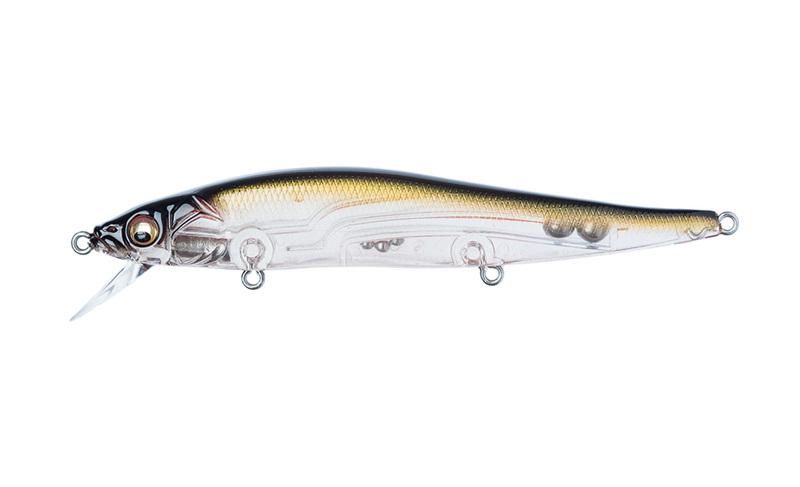 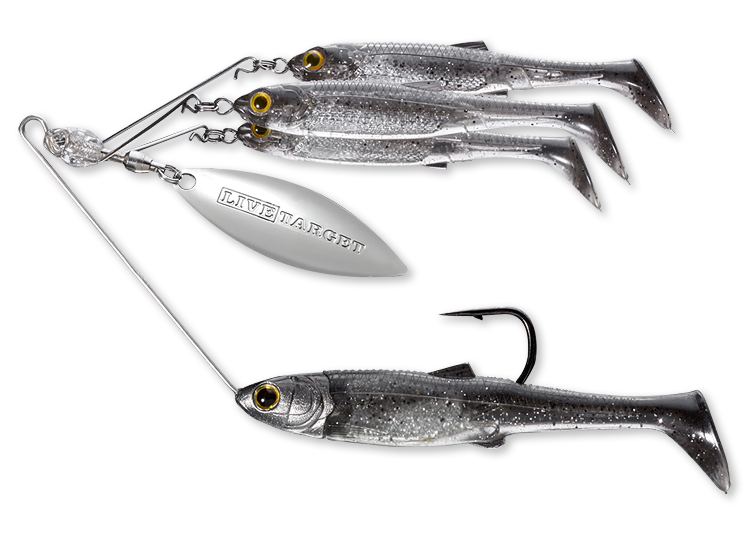 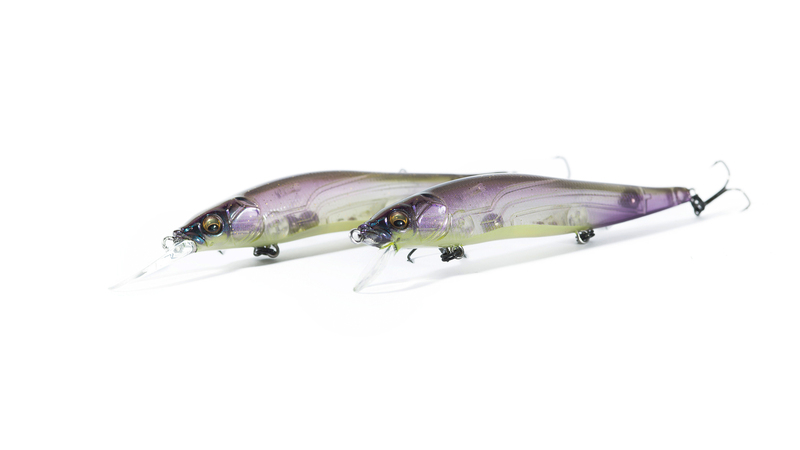 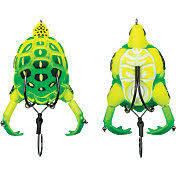 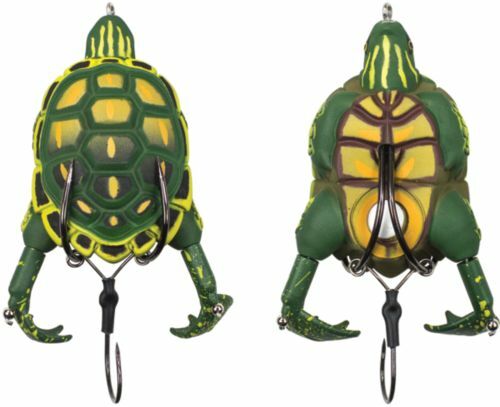 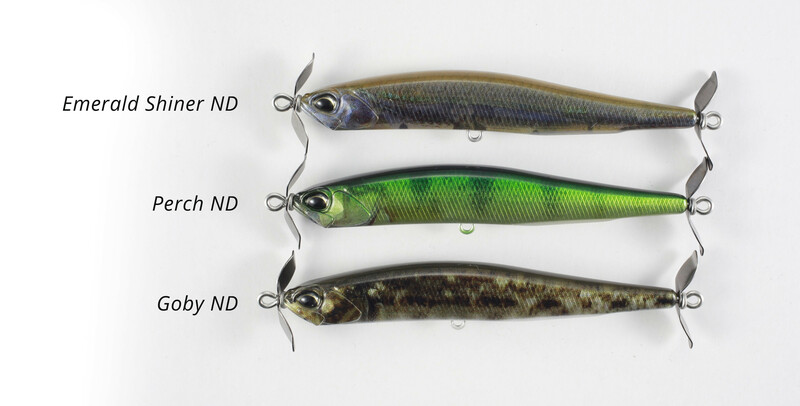 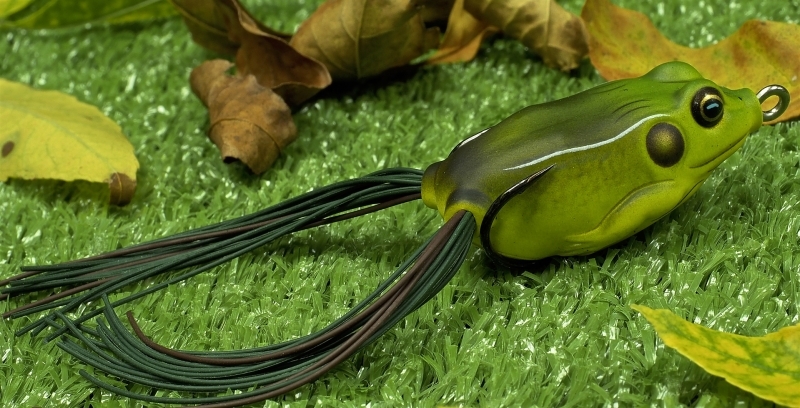 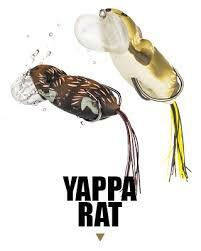 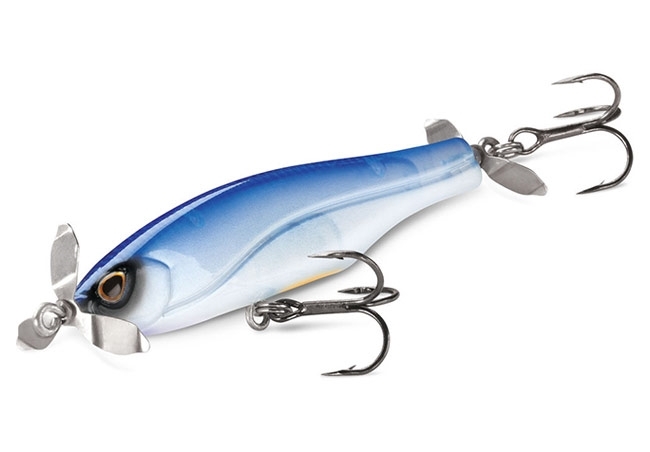 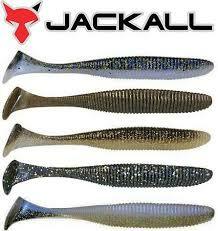 Body shape and hook position of the Jackall Kaera Weedless Frog hides the point of the hooks to lessen snags. 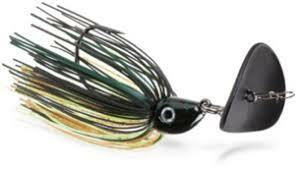 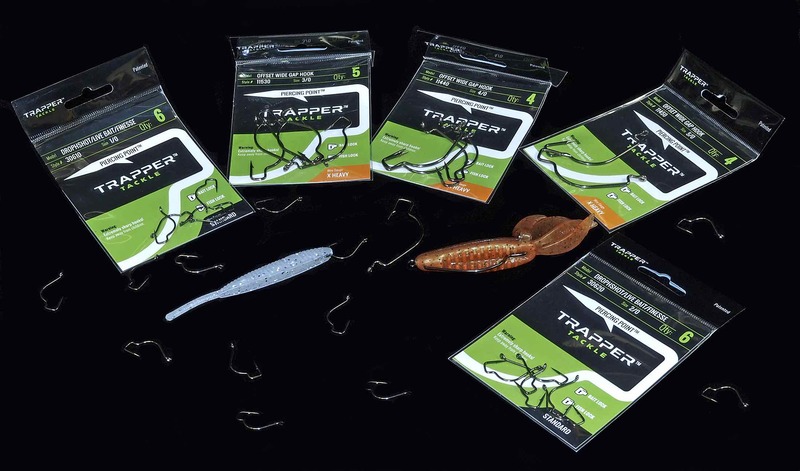 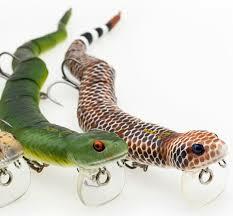 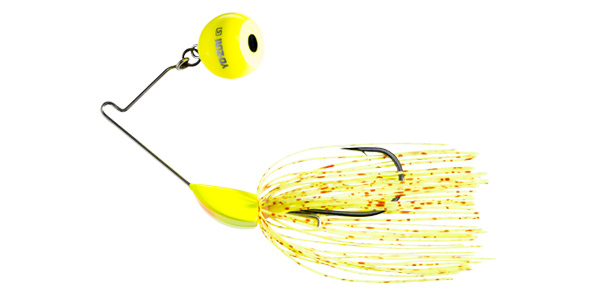 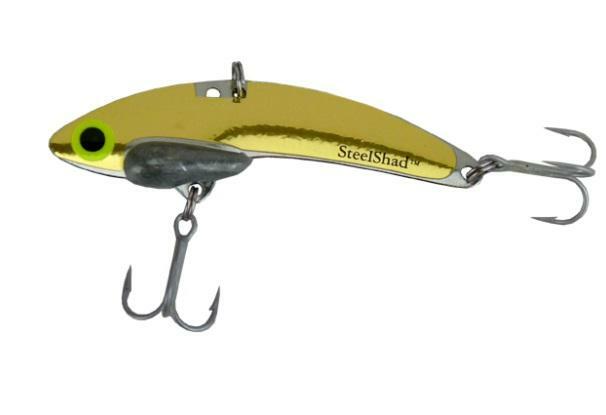 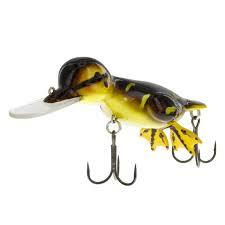 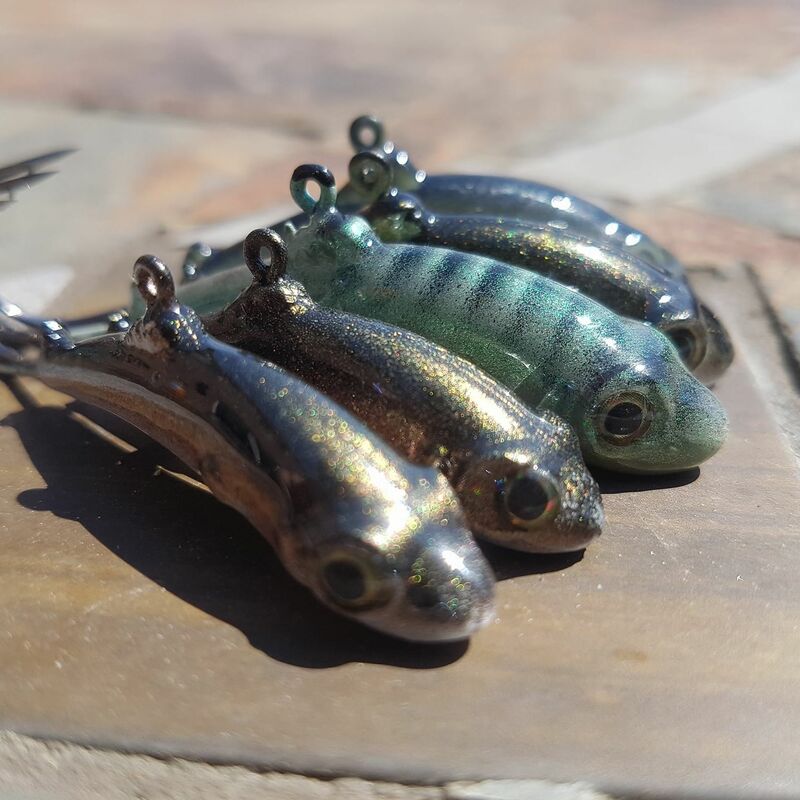 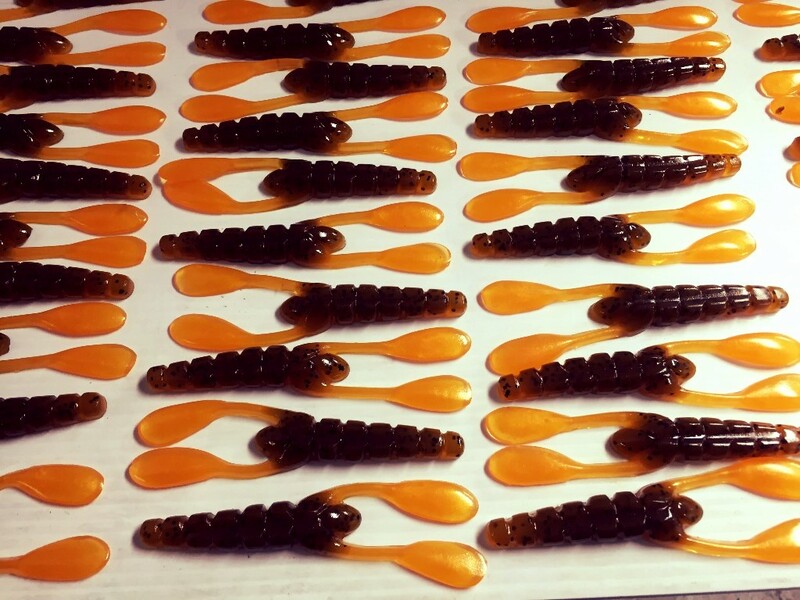 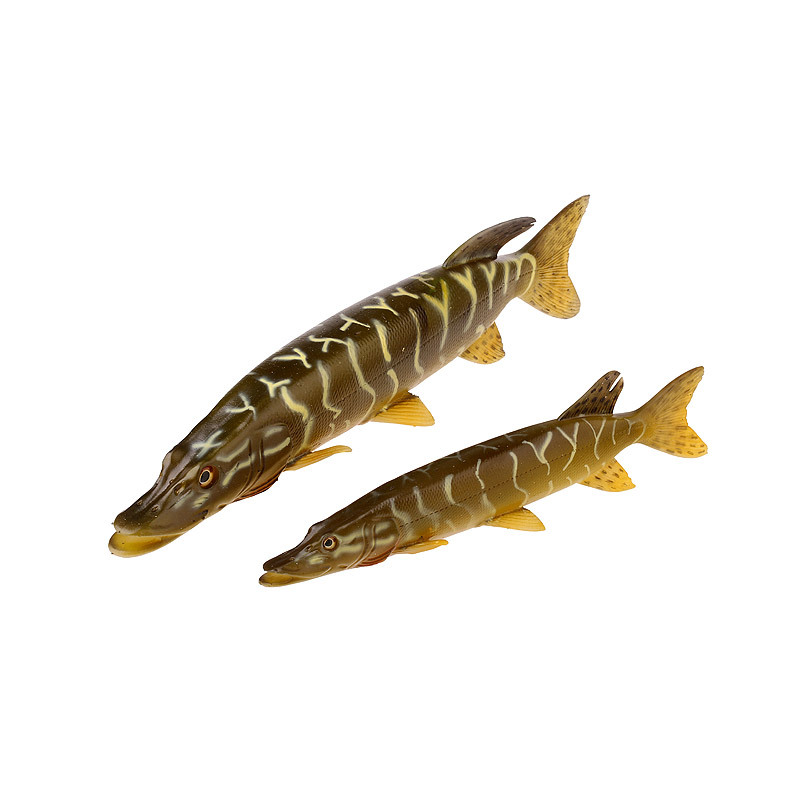 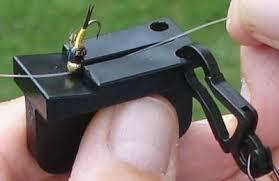 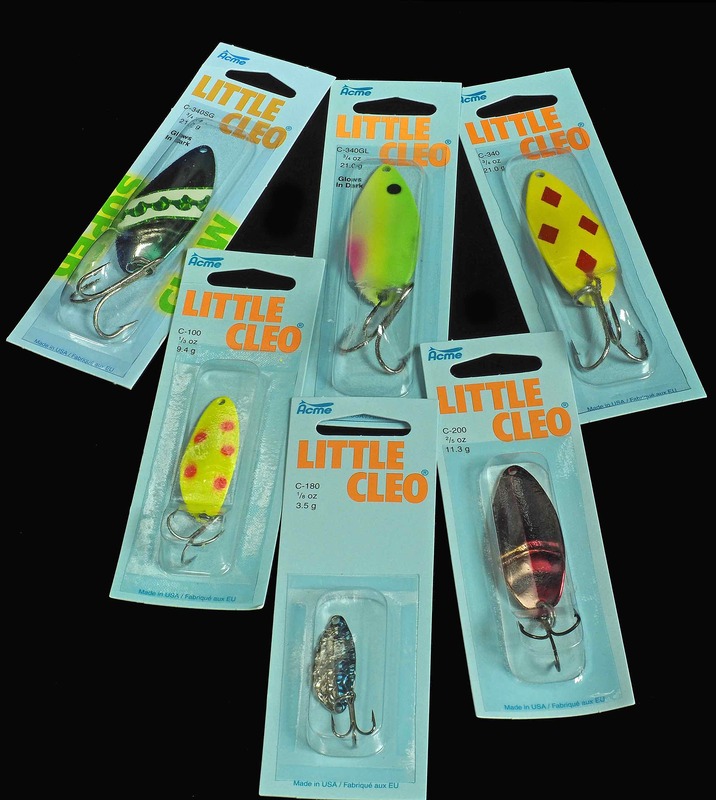 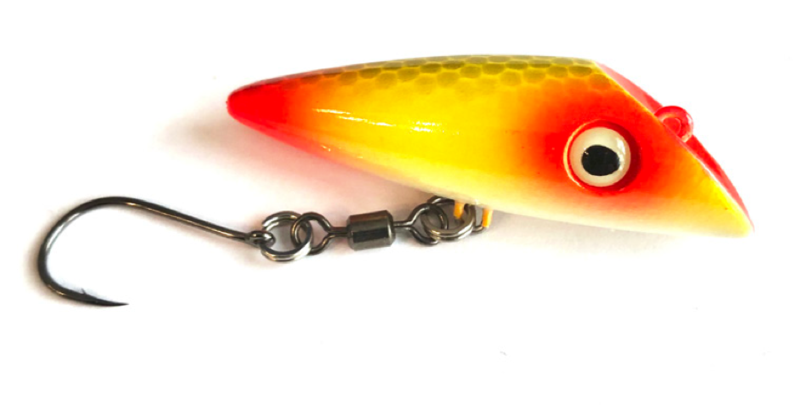 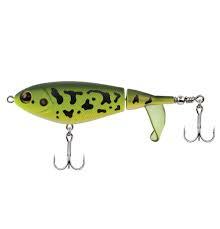 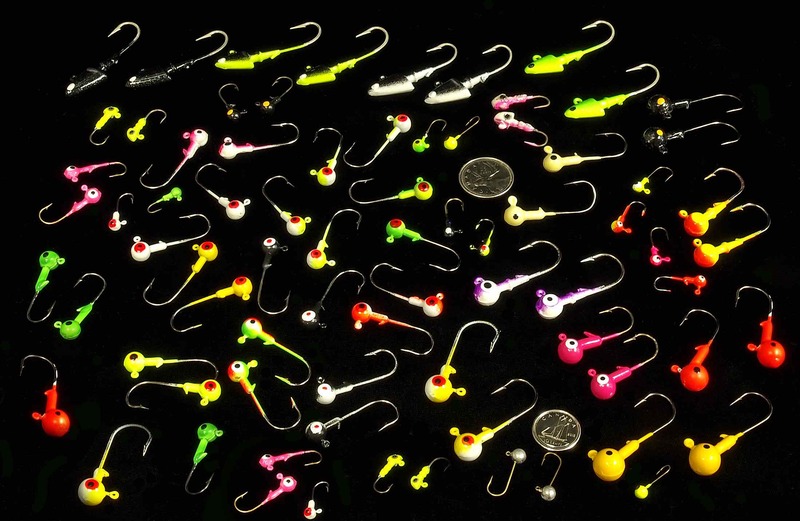 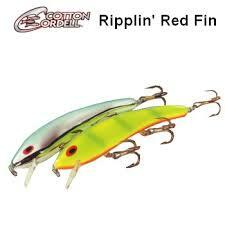 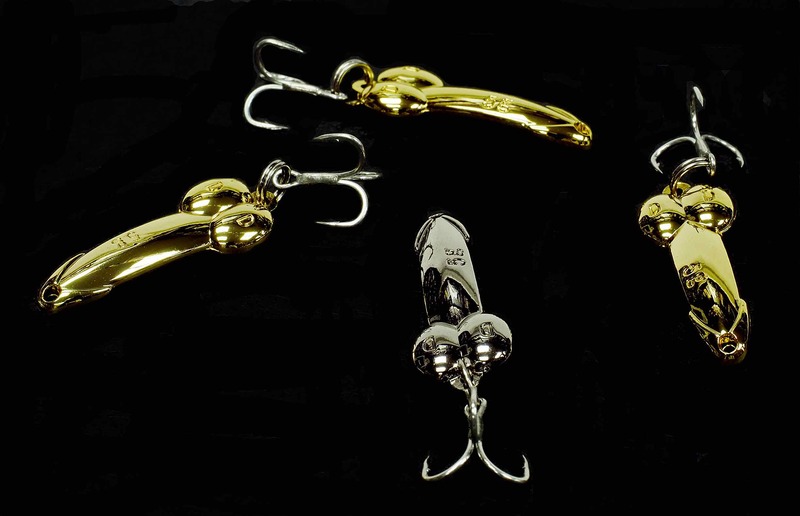 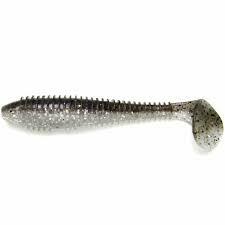 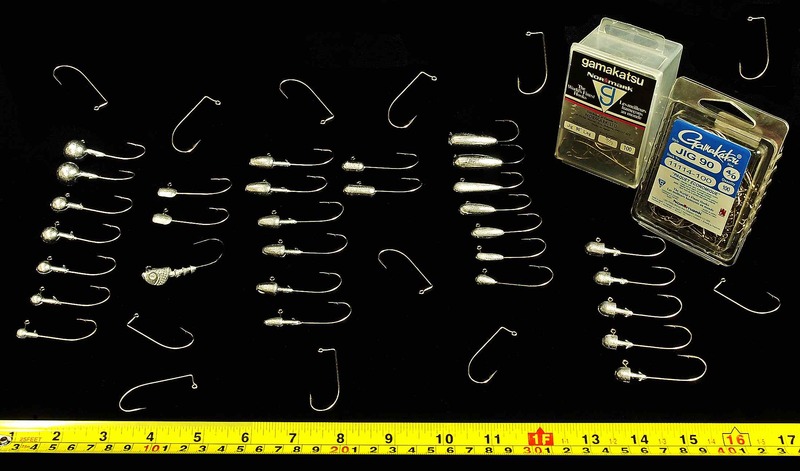 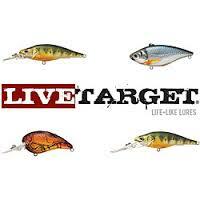 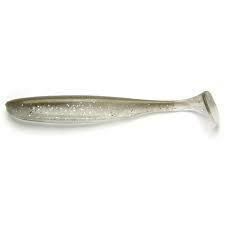 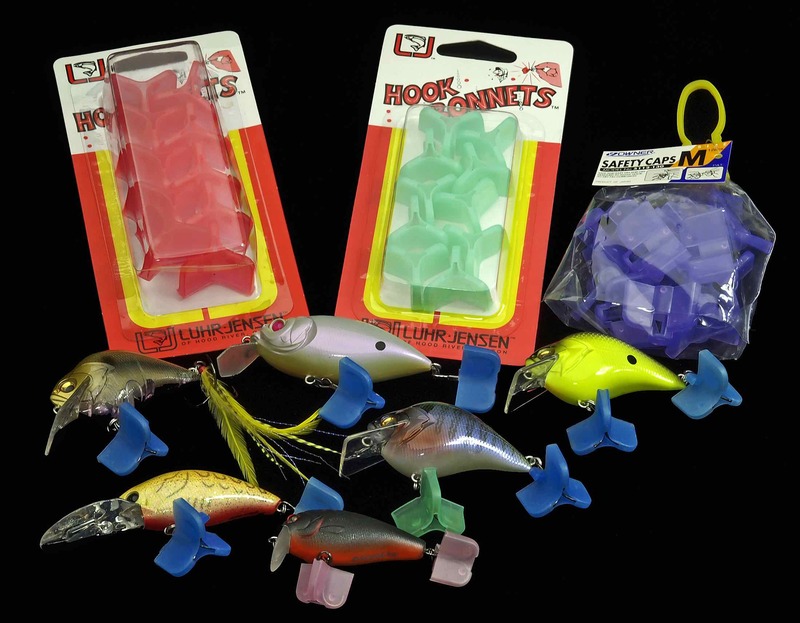 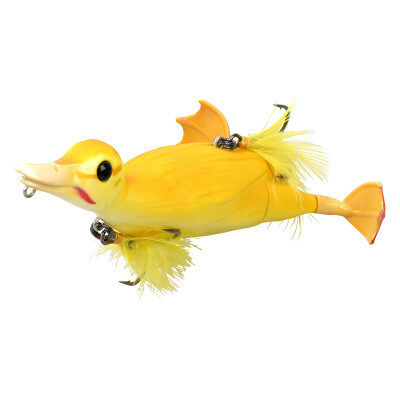 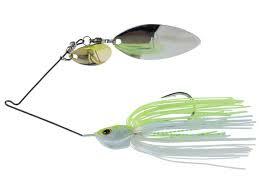 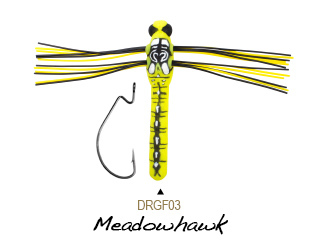 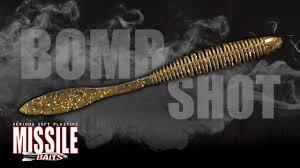 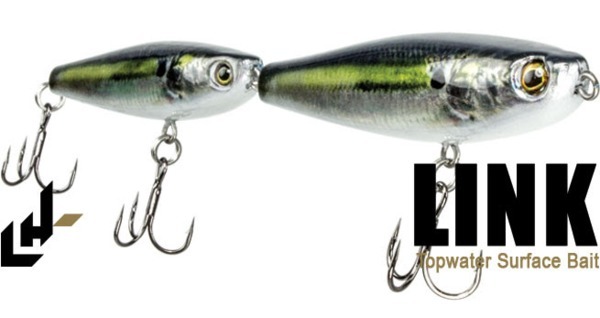 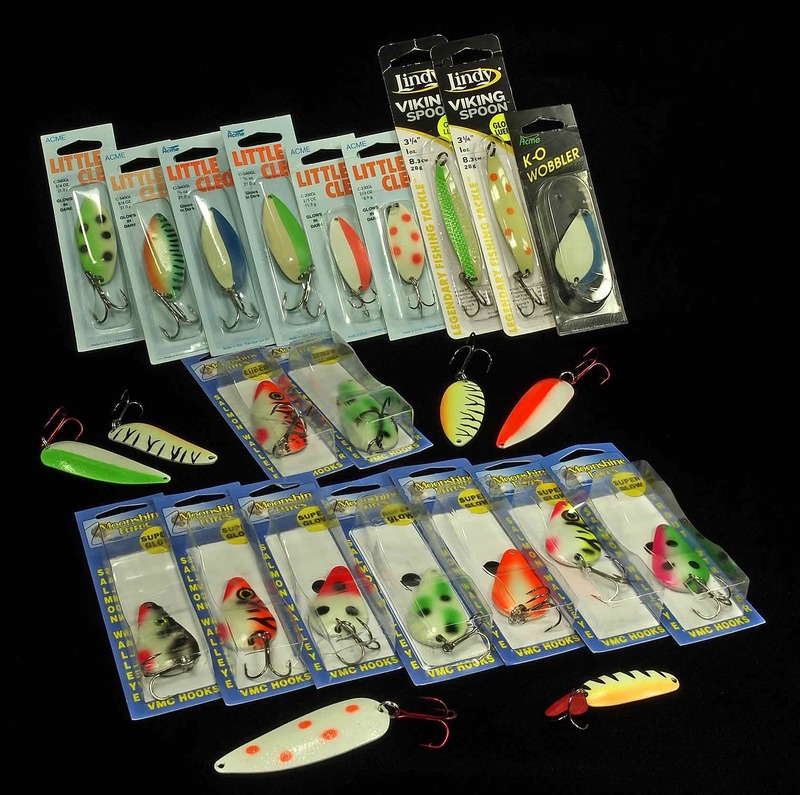 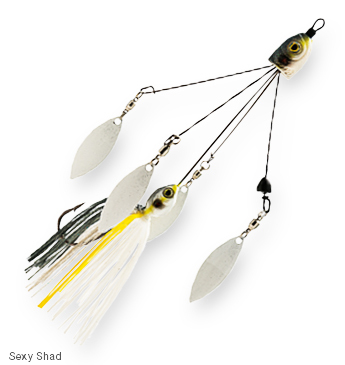 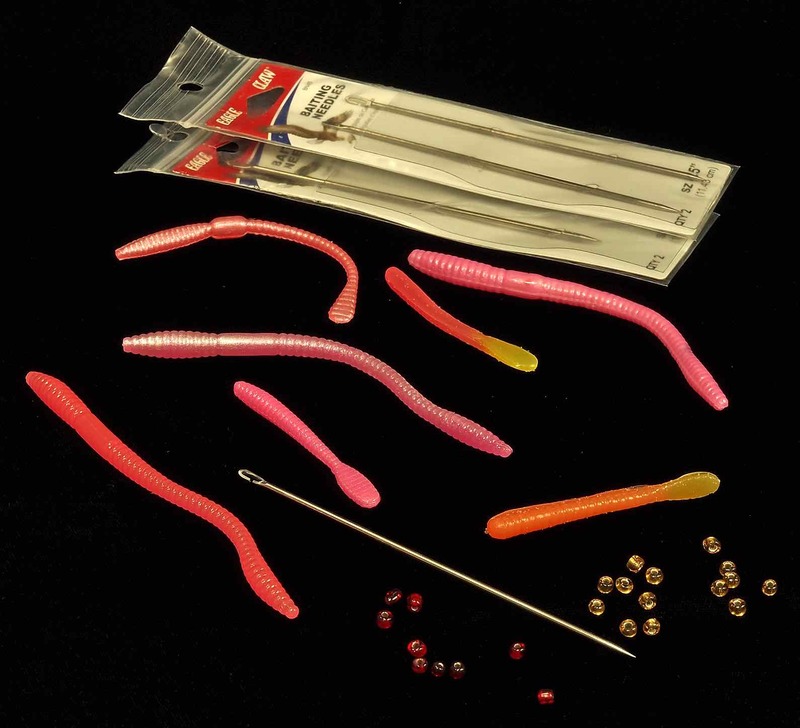 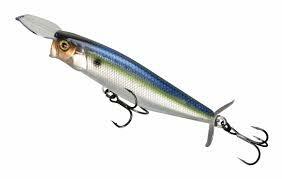 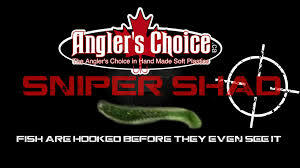 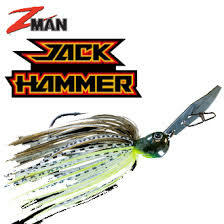 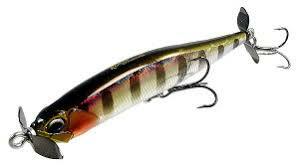 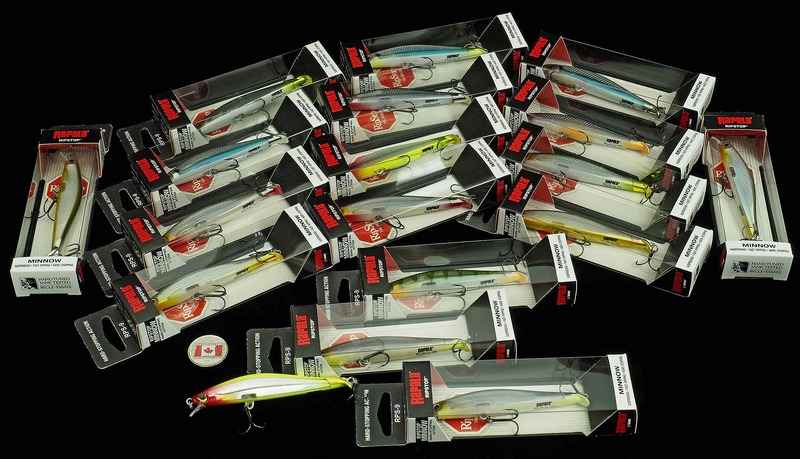 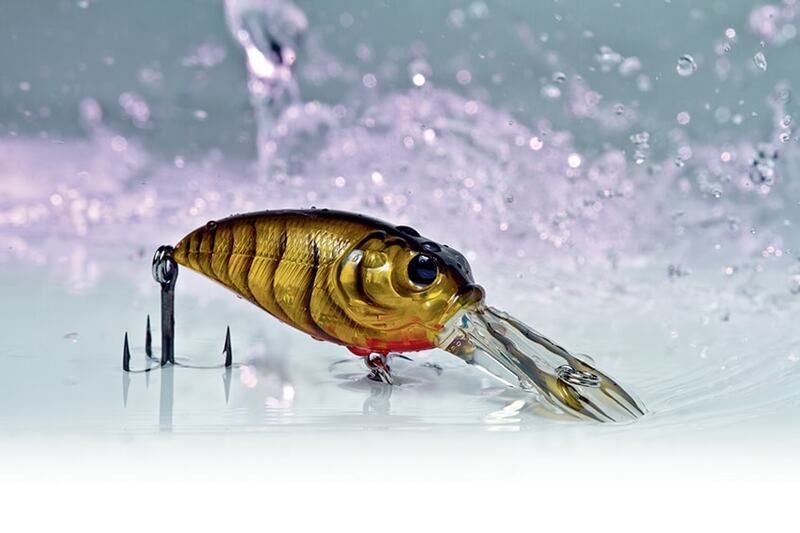 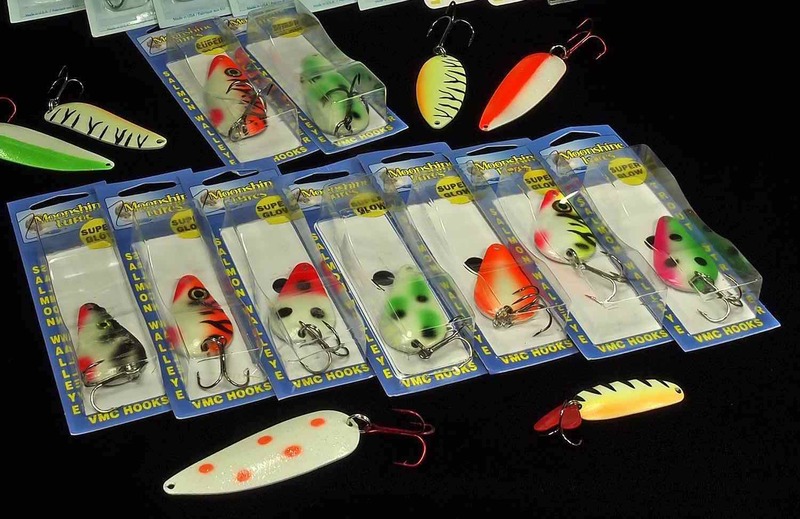 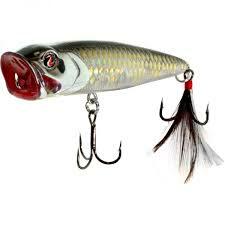 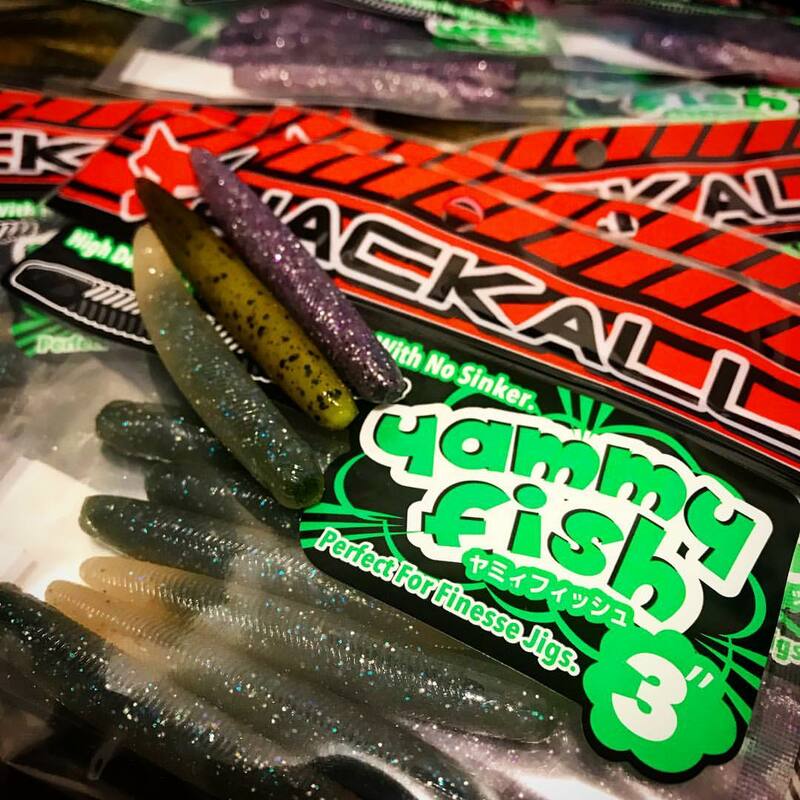 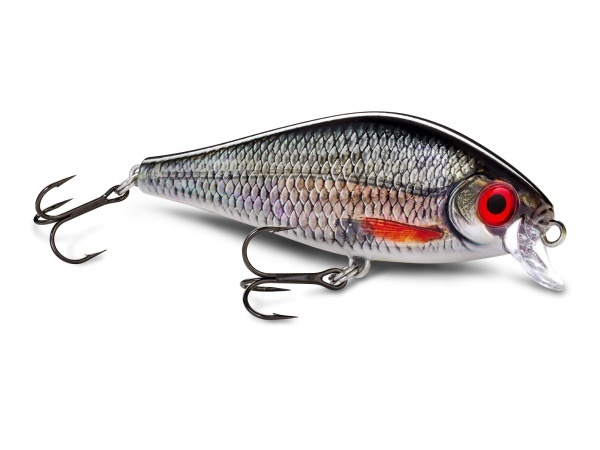 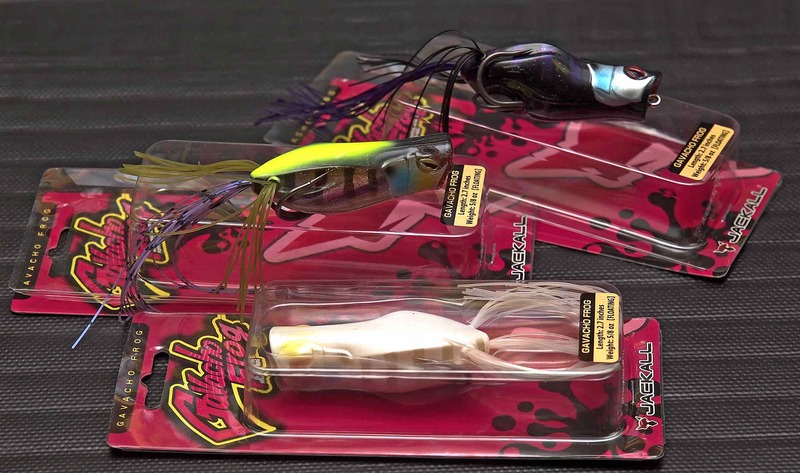 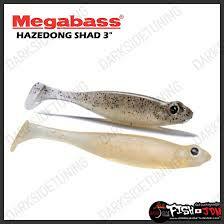 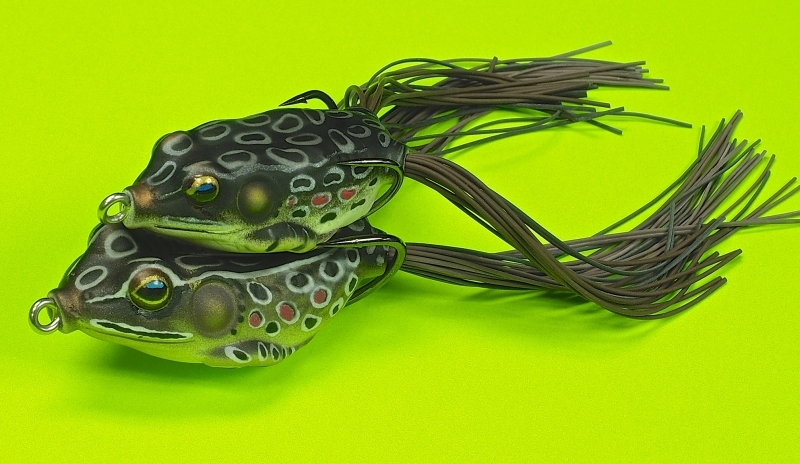 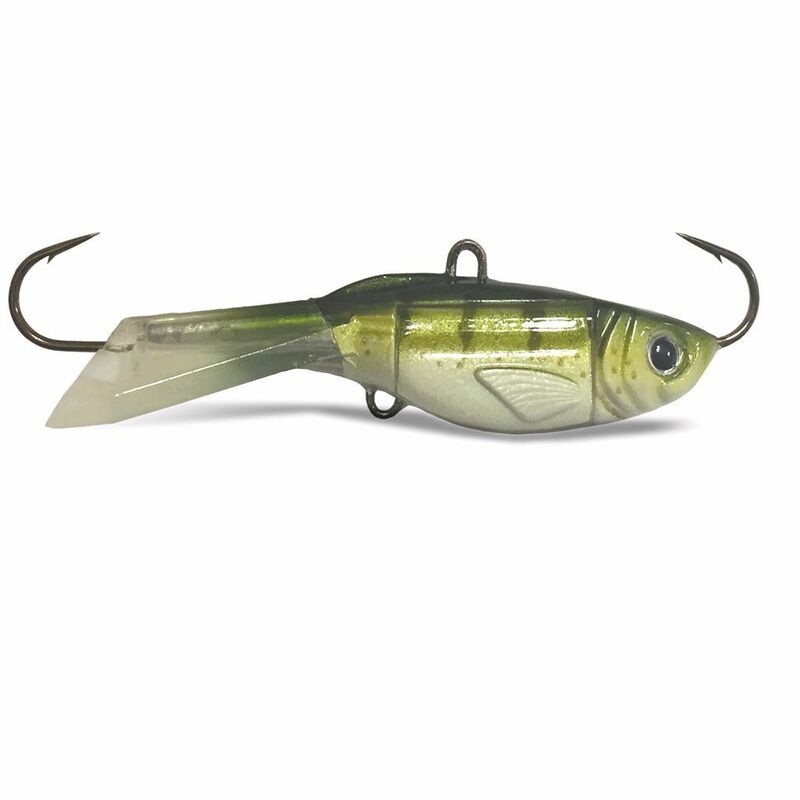 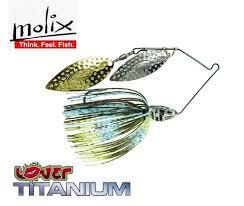 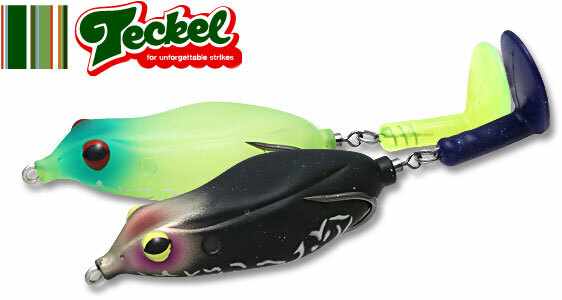 Wide hooks gives the Jackall Kaera Weedless Frog excellent hook up ratio. 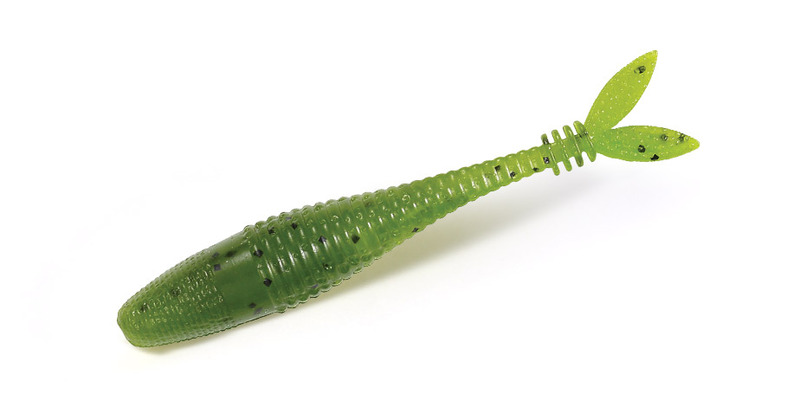 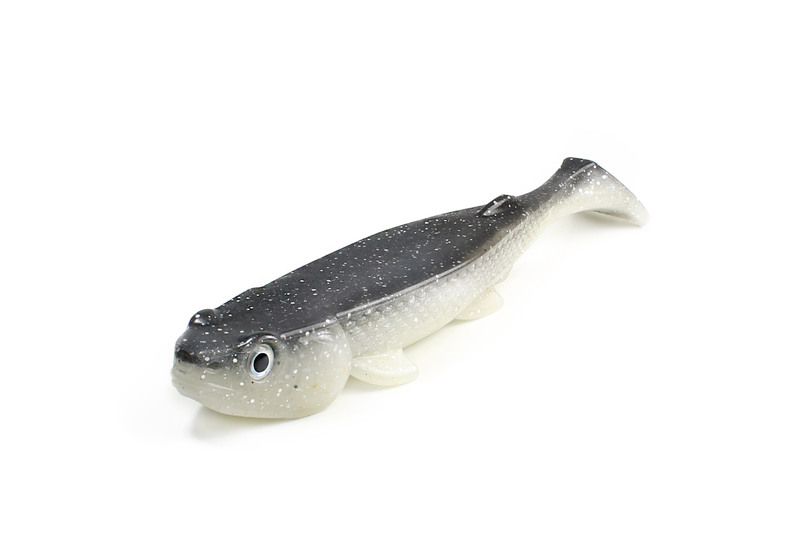 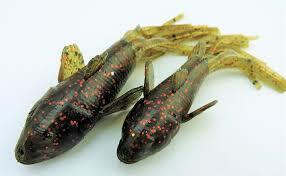 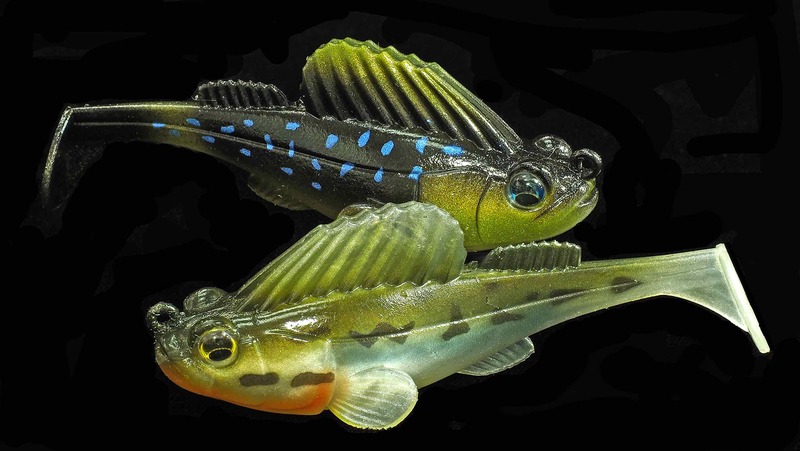 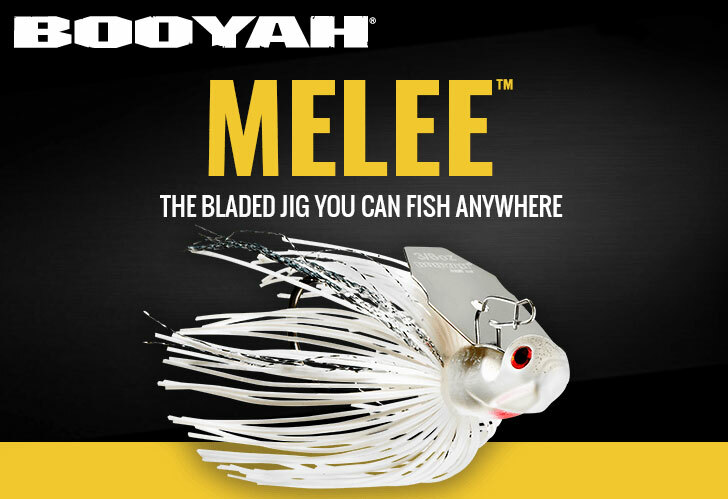 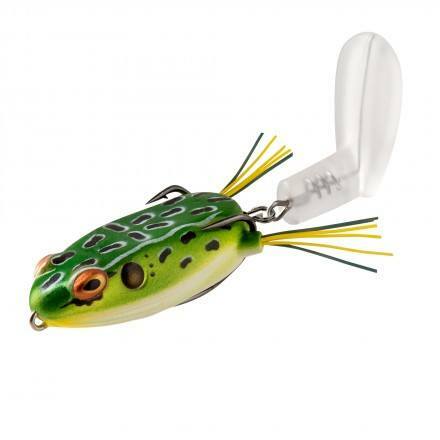 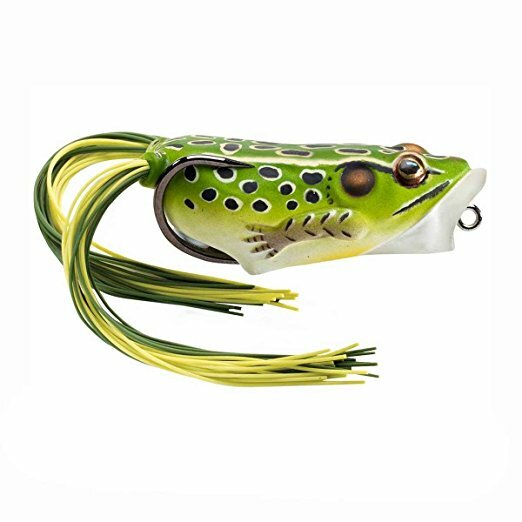 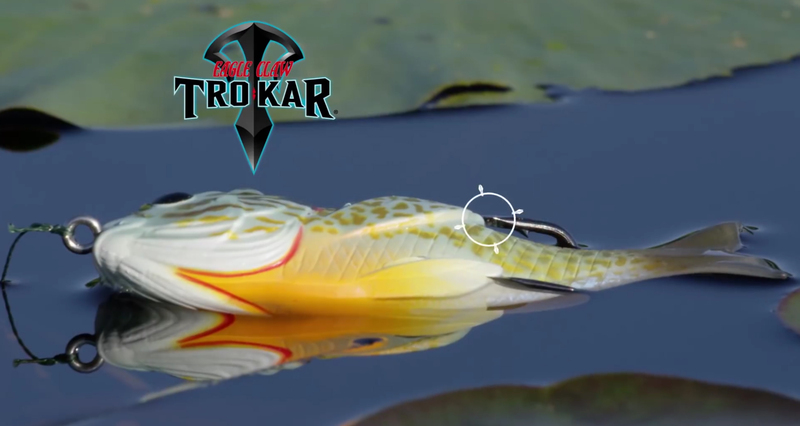 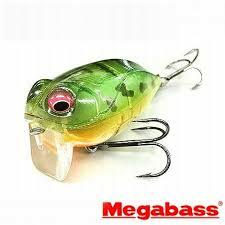 The Flat Surface side body of the Jackall Kaera Weedless Frog pushes more water. 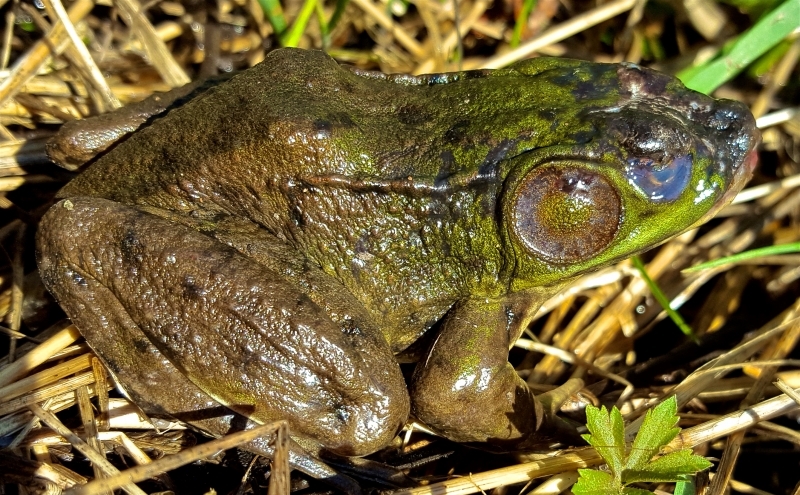 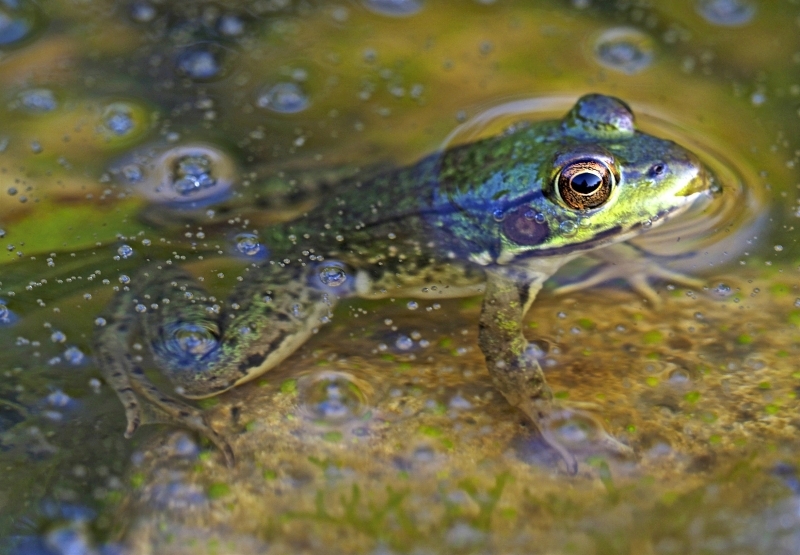 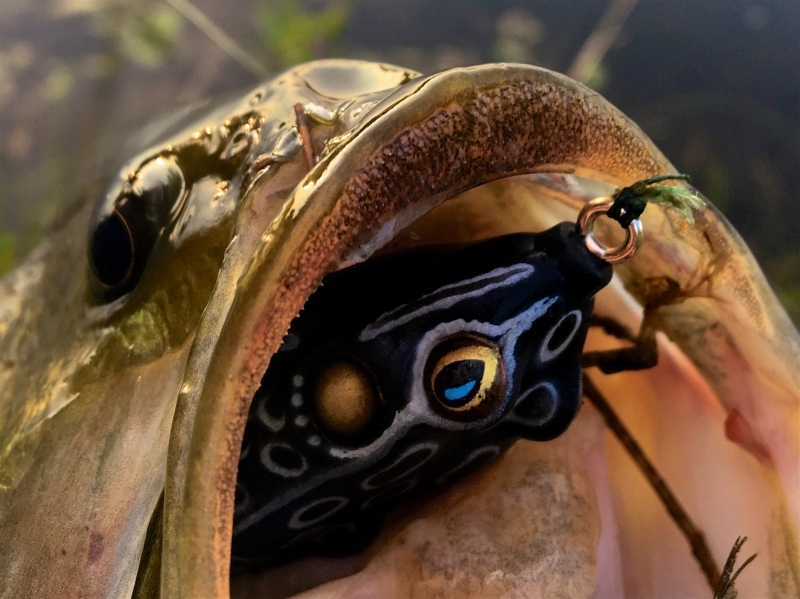 A Water Drain hole behind body of the Jackall Kaera Weedless Frog releases excess water during casts. 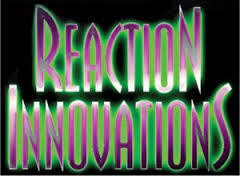 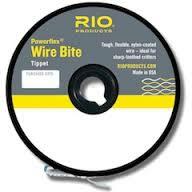 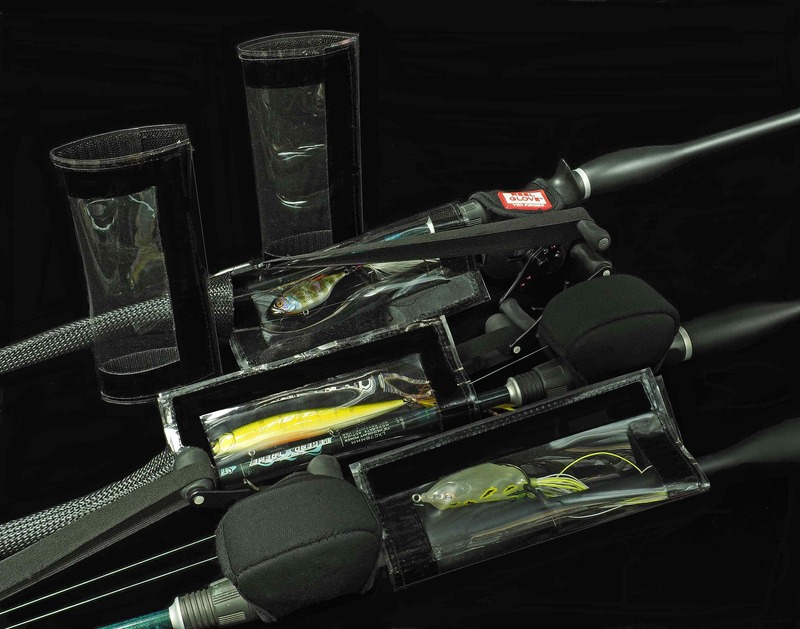 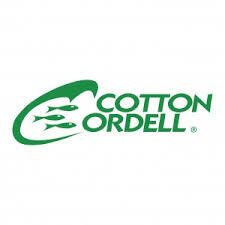 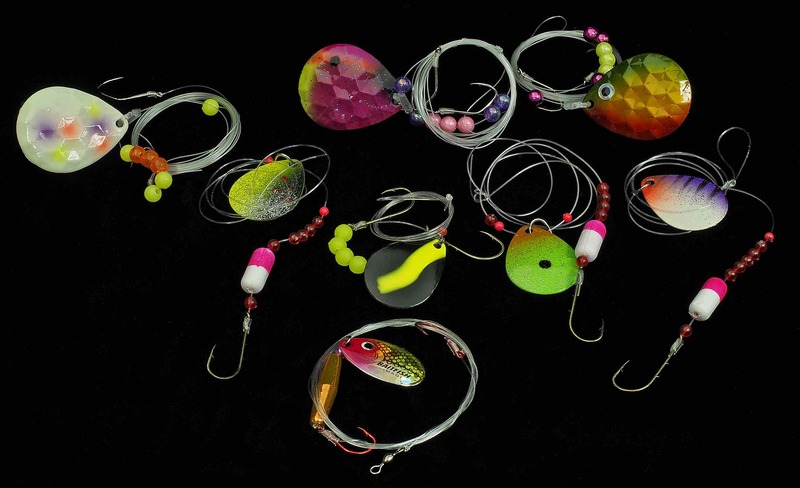 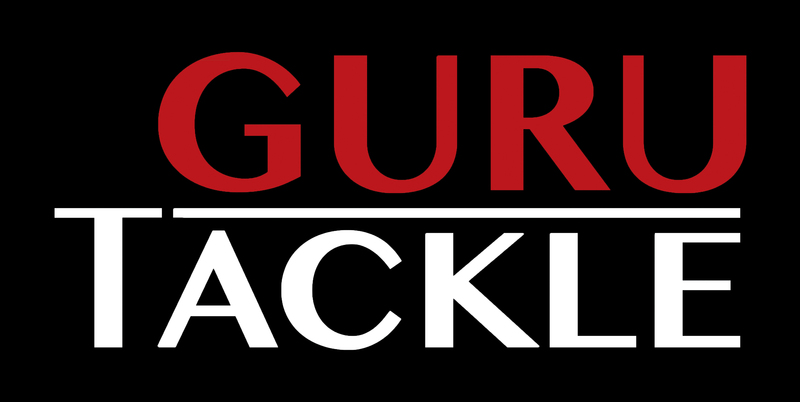 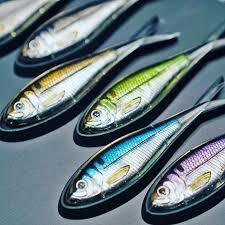 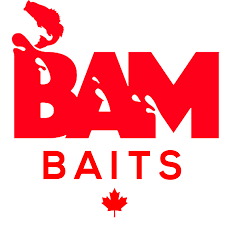 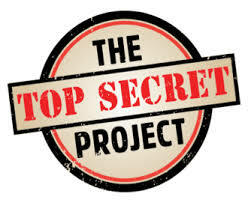 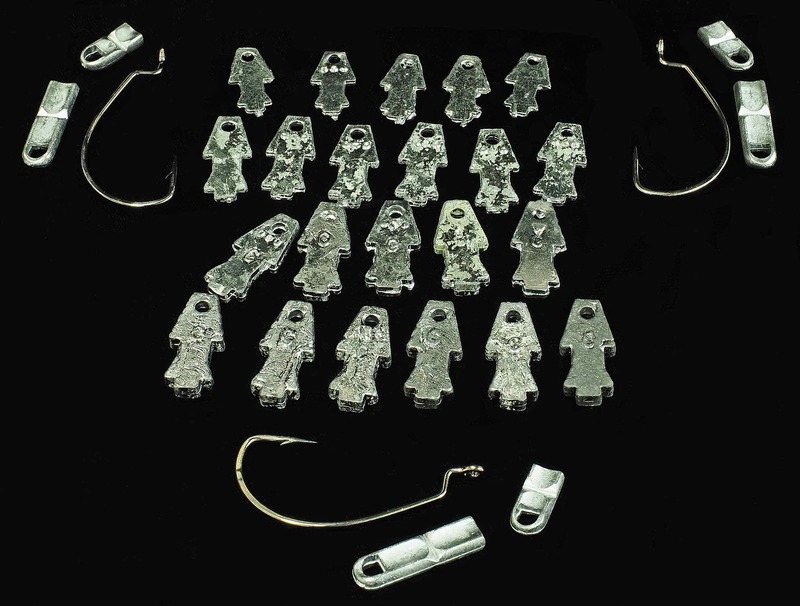 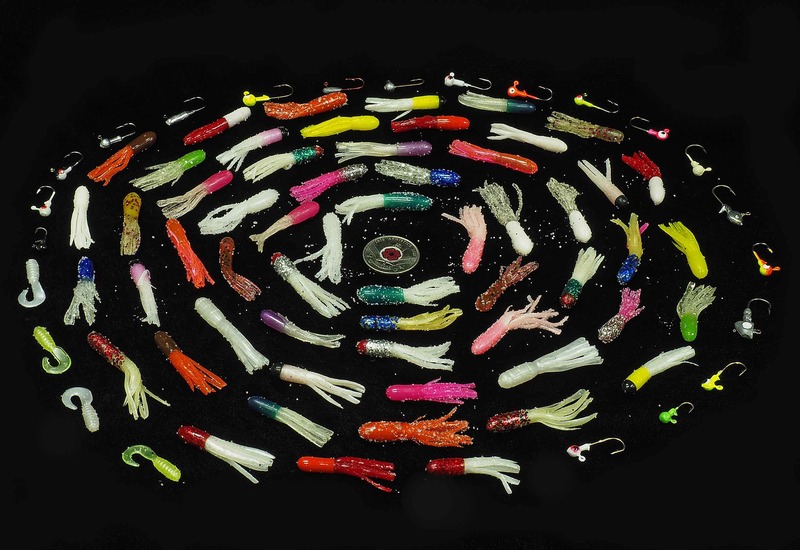 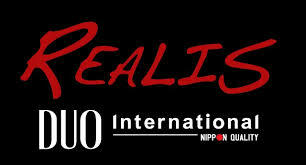 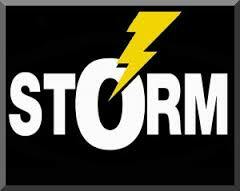 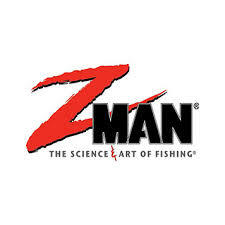 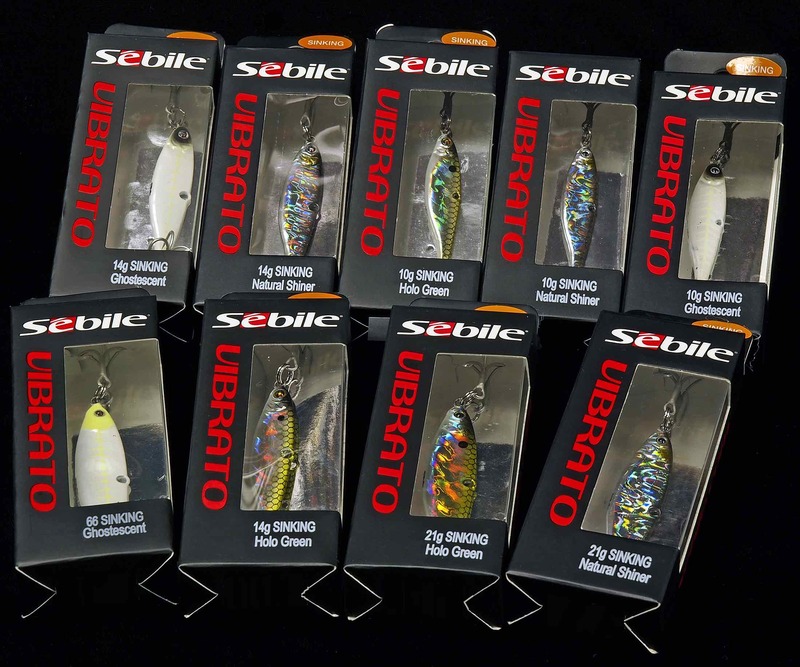 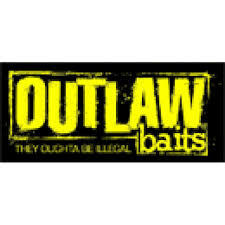 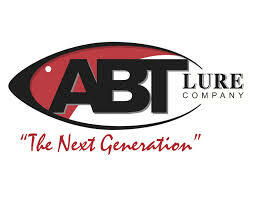 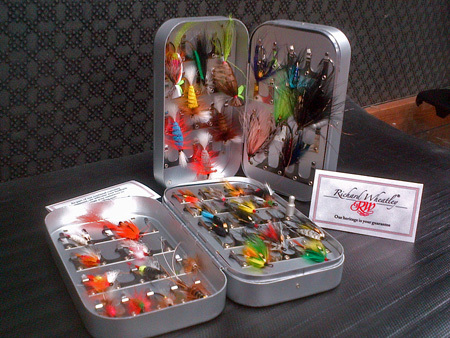 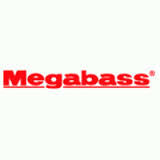 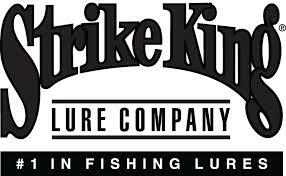 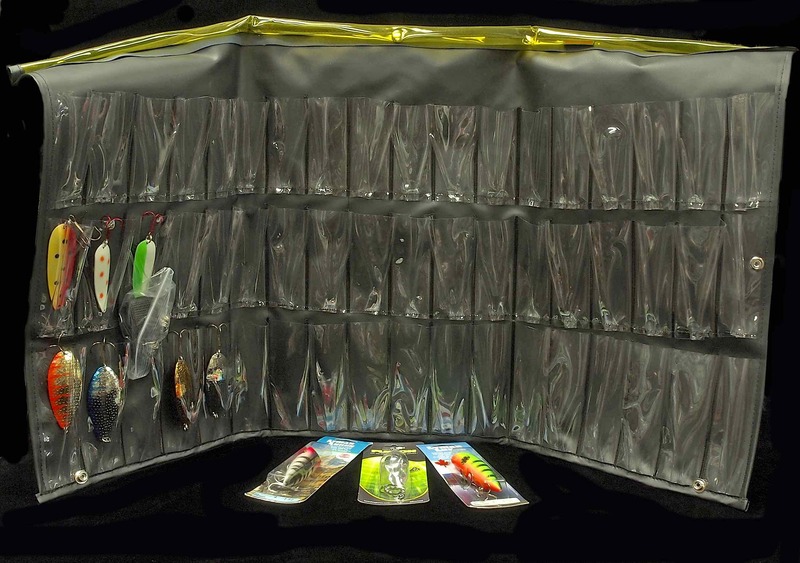 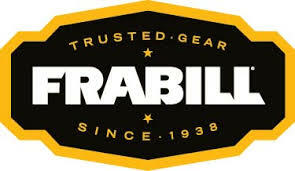 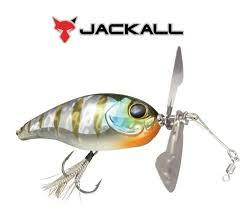 Contact Us for current Inventory after visiting the Jackall Kaera Website here. 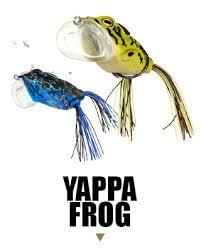 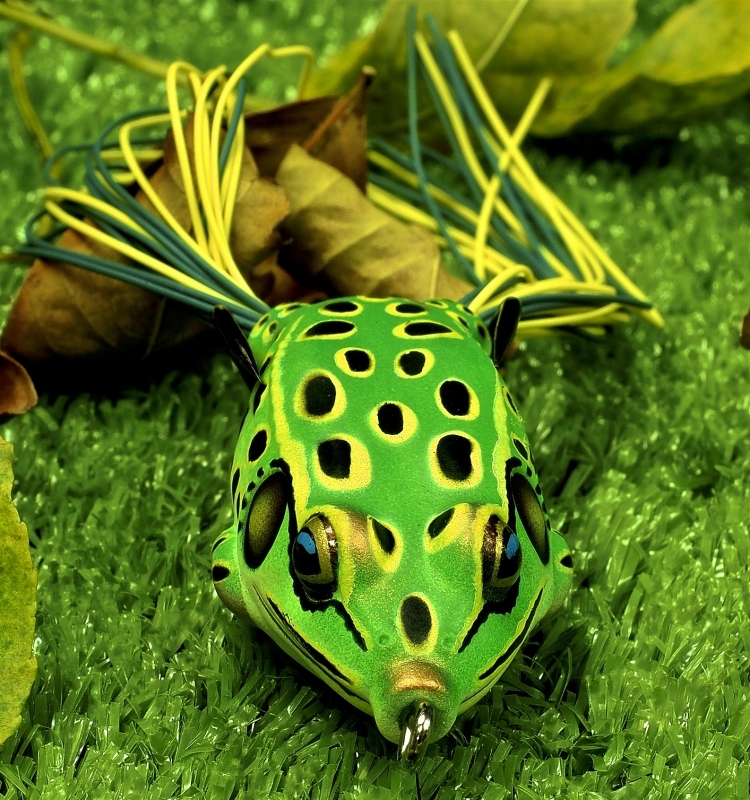 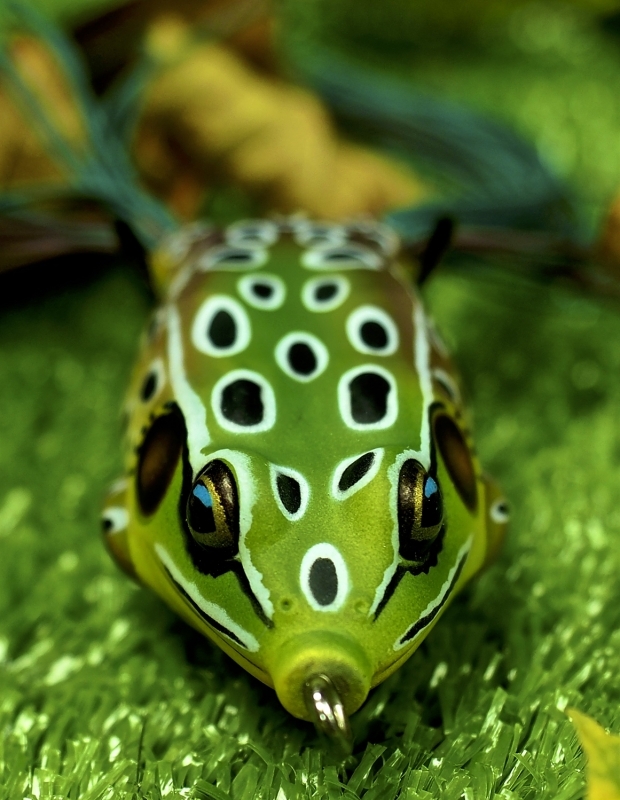 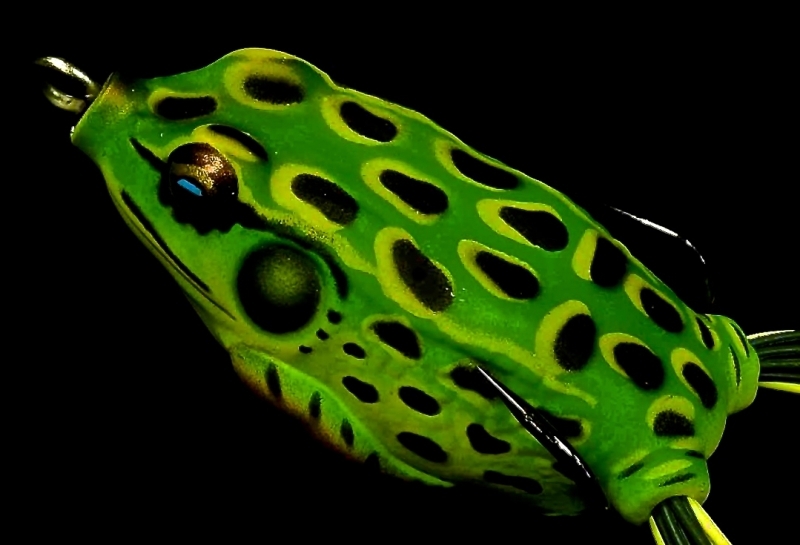 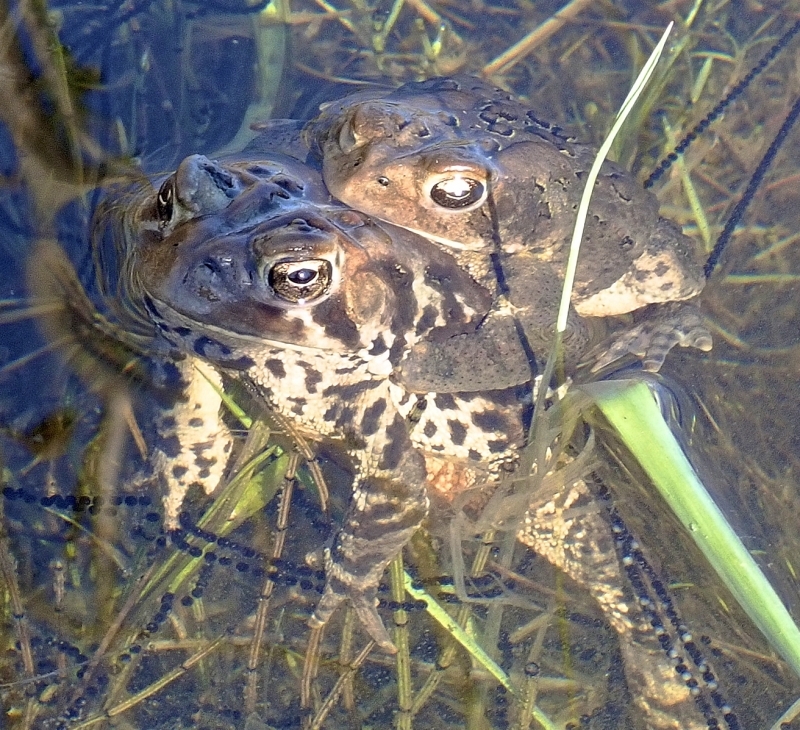 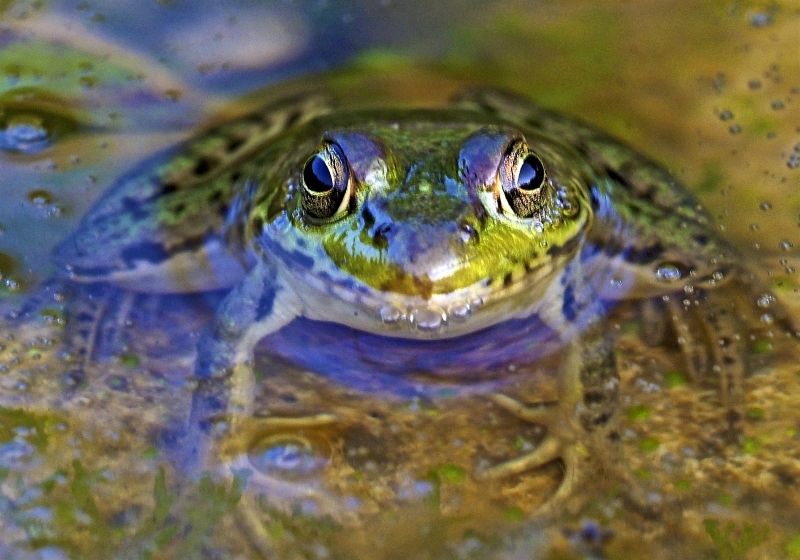 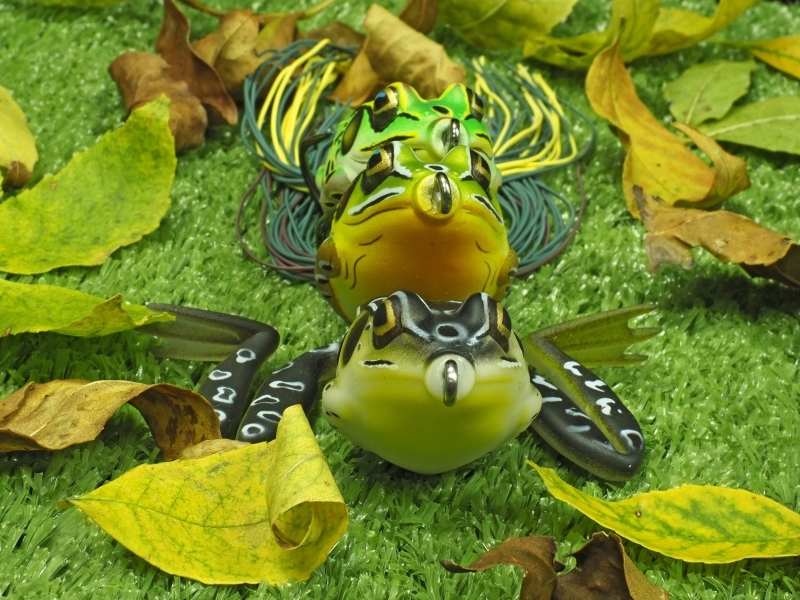 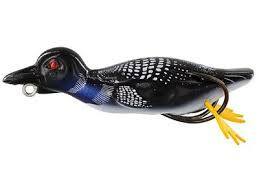 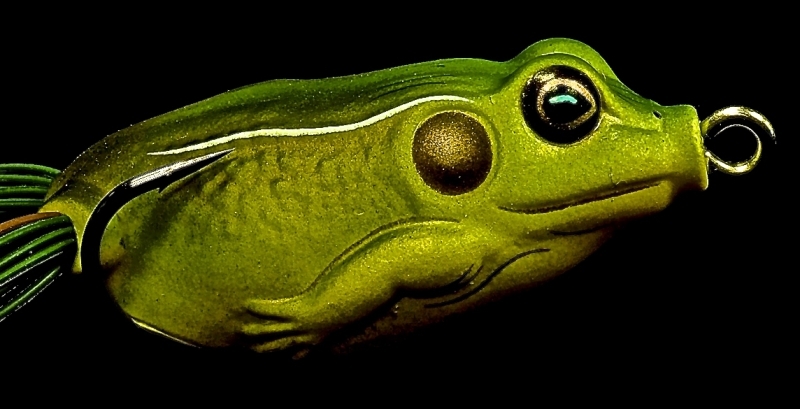 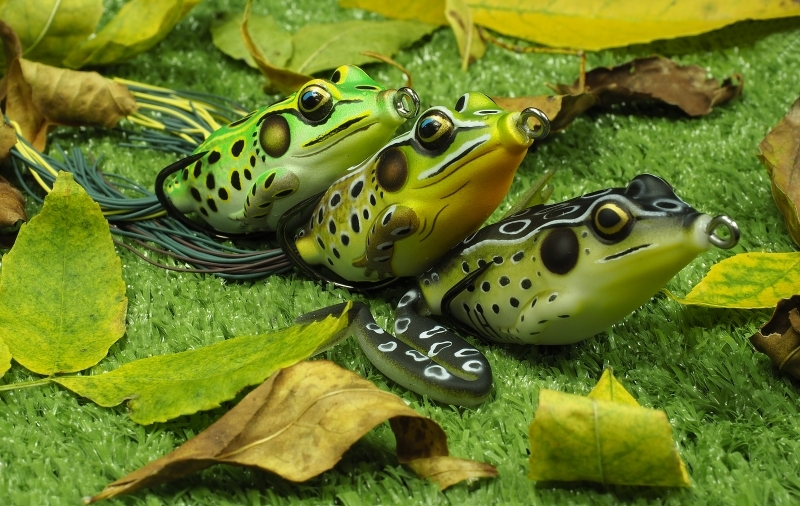 See here for info on the Jackall Gavacho Frog. 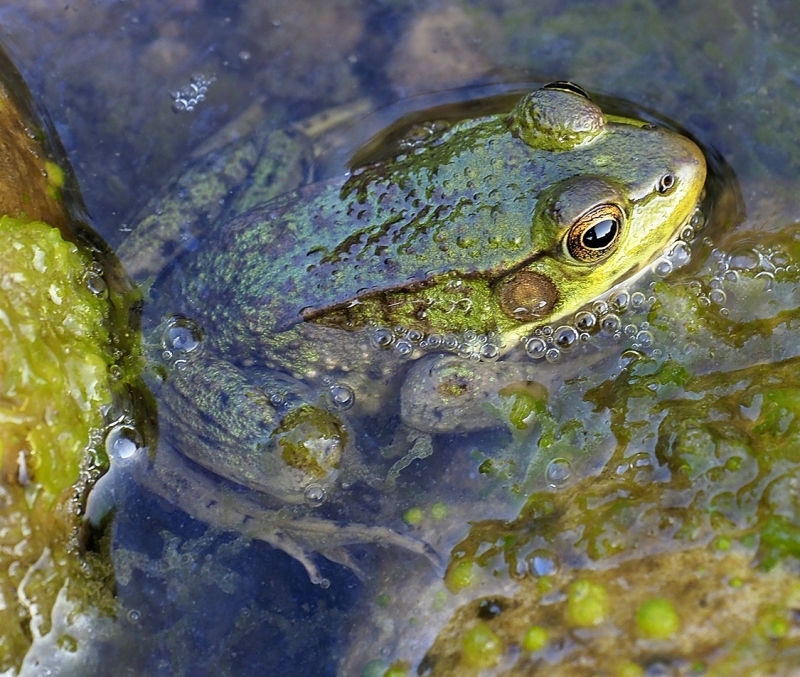 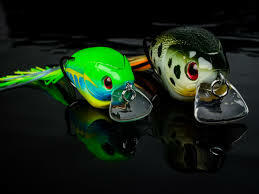 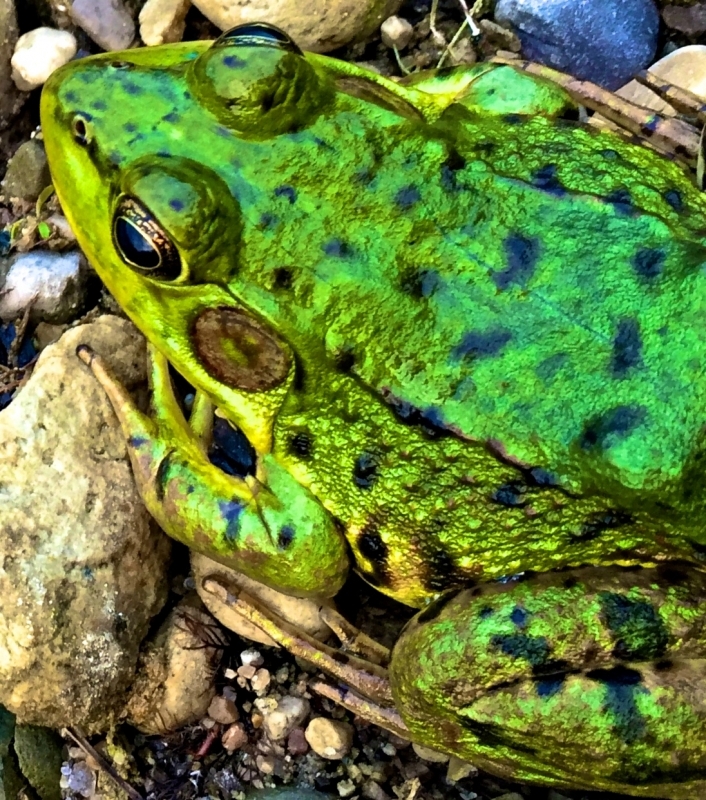 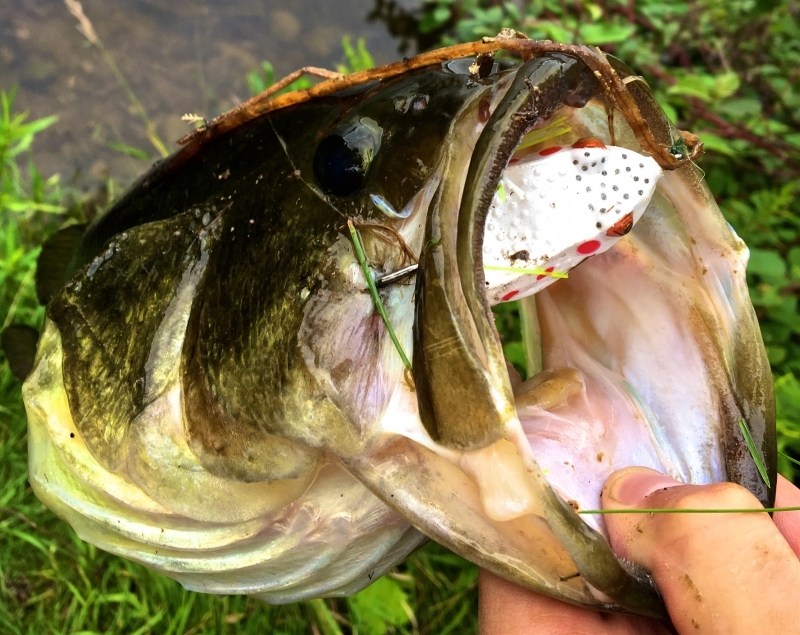 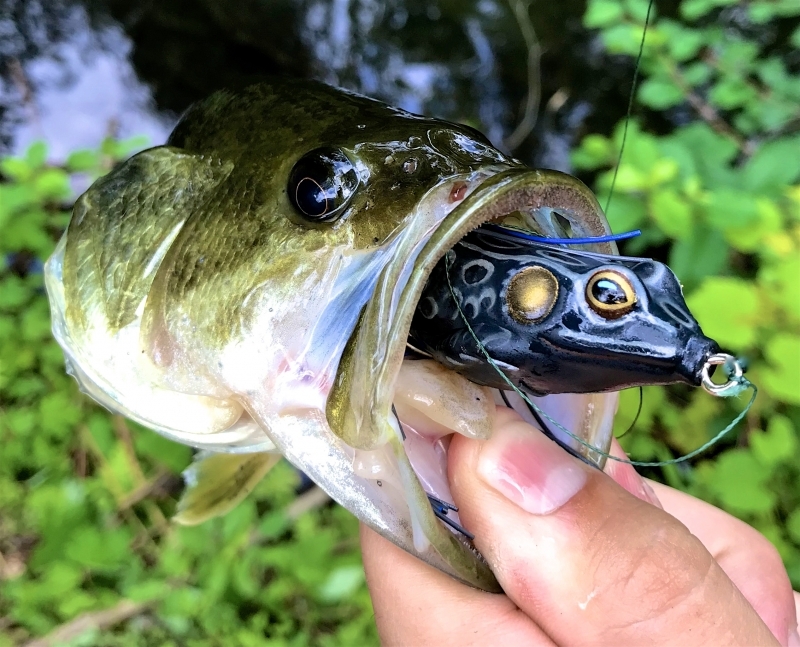 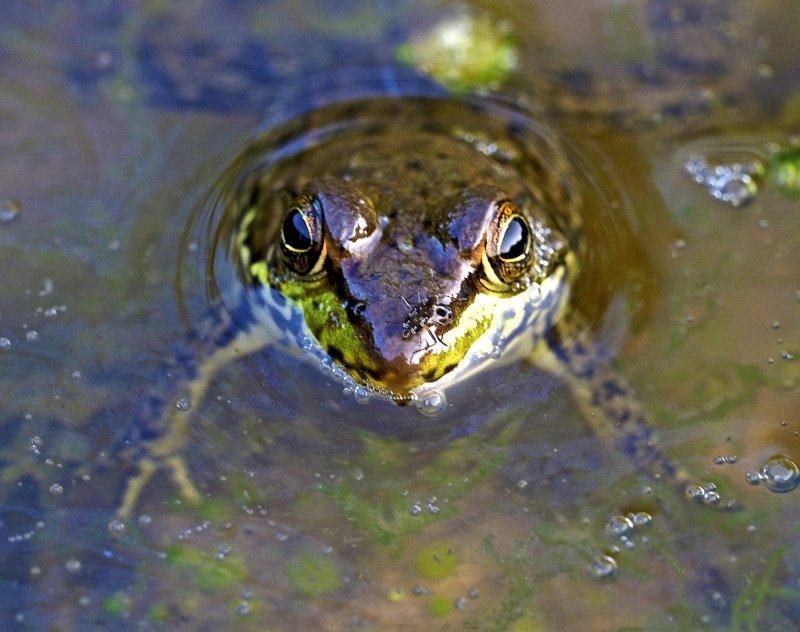 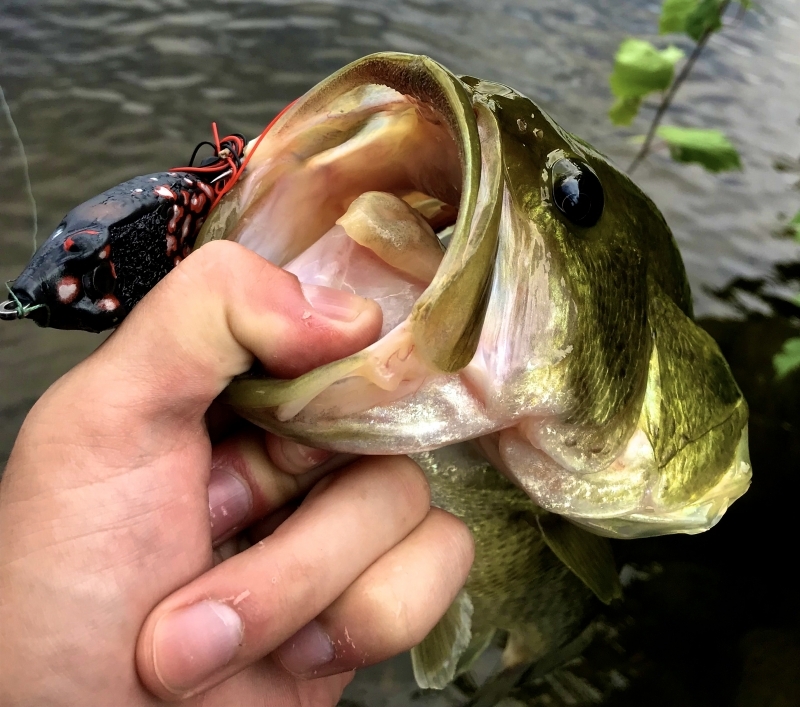 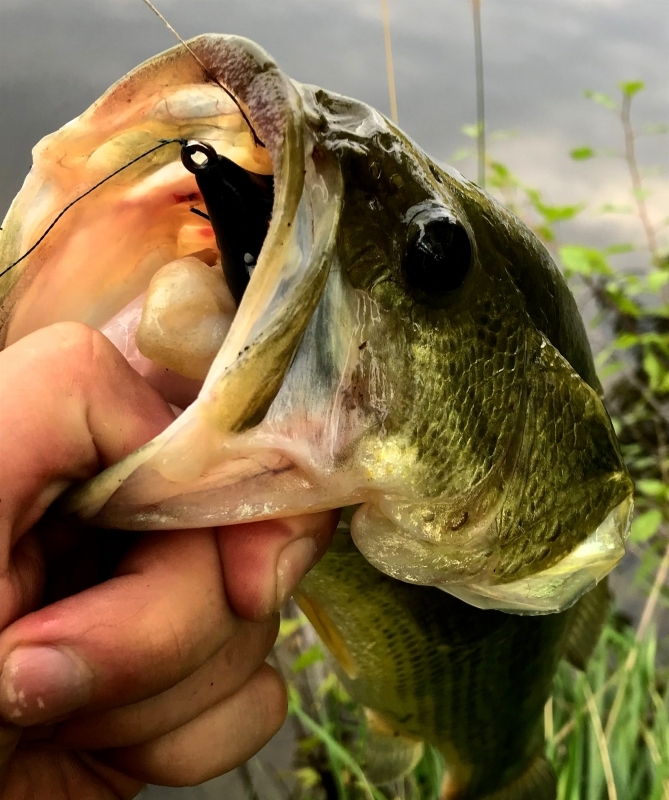 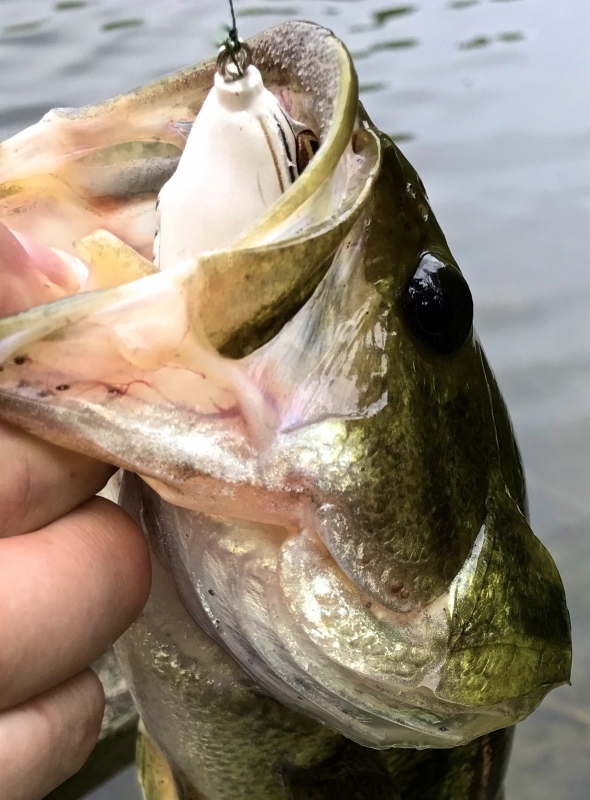 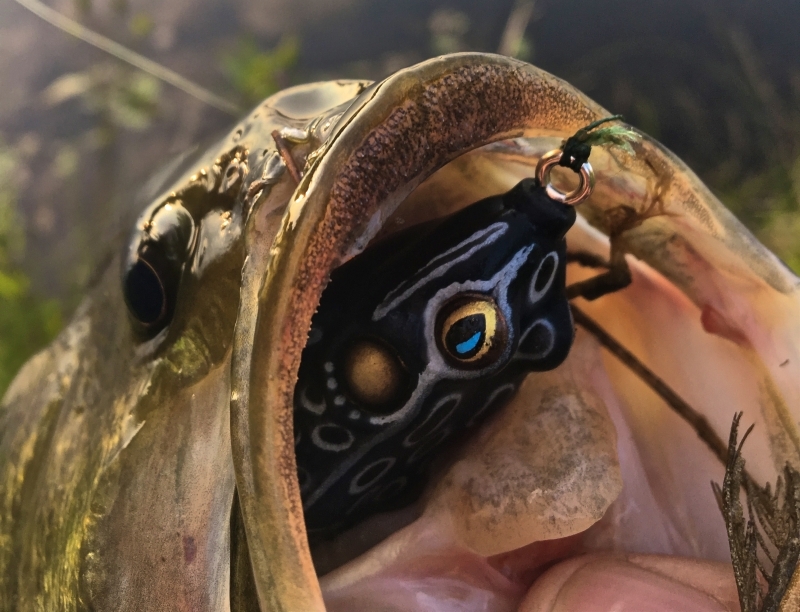 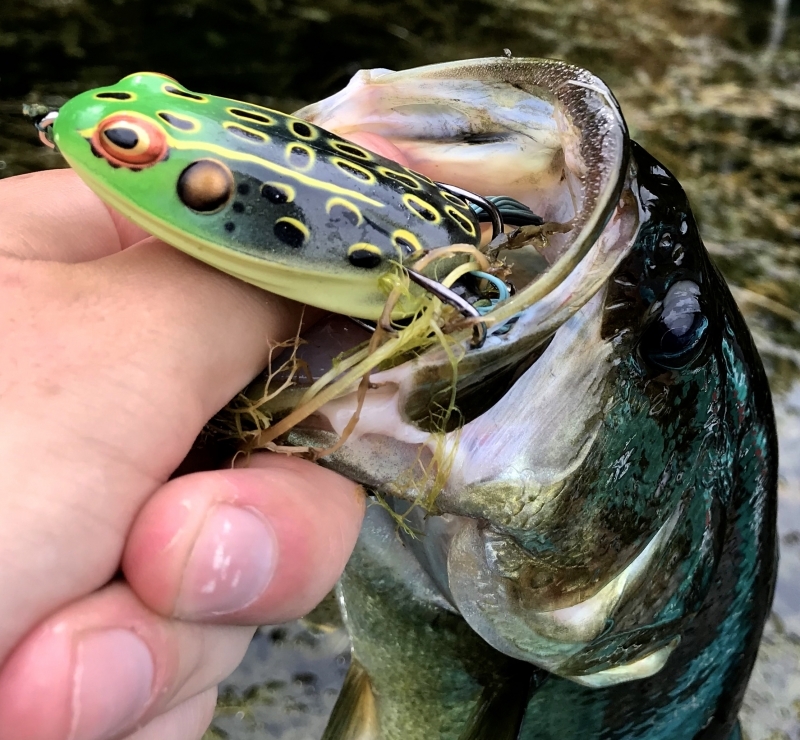 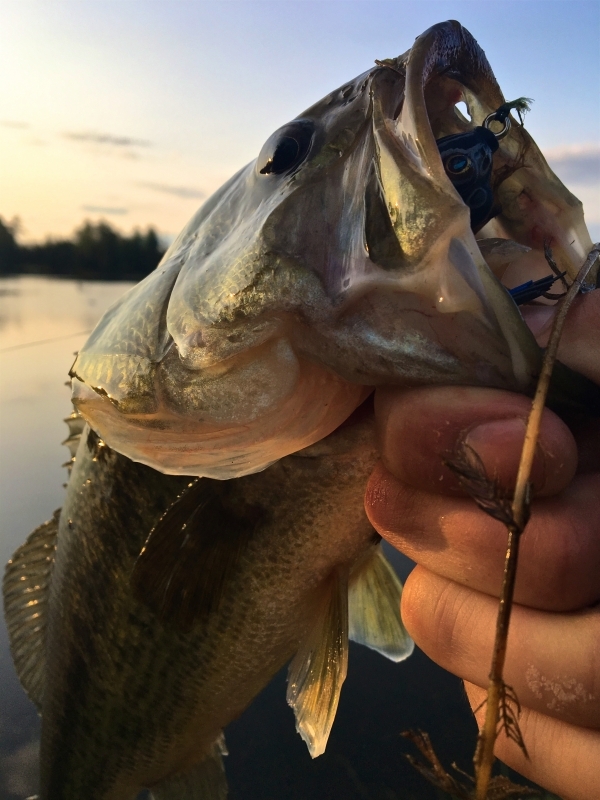 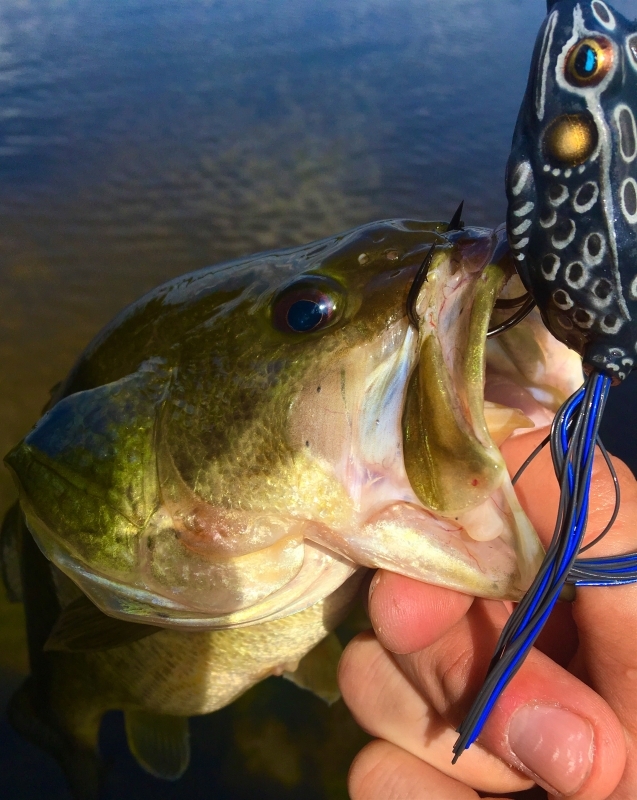 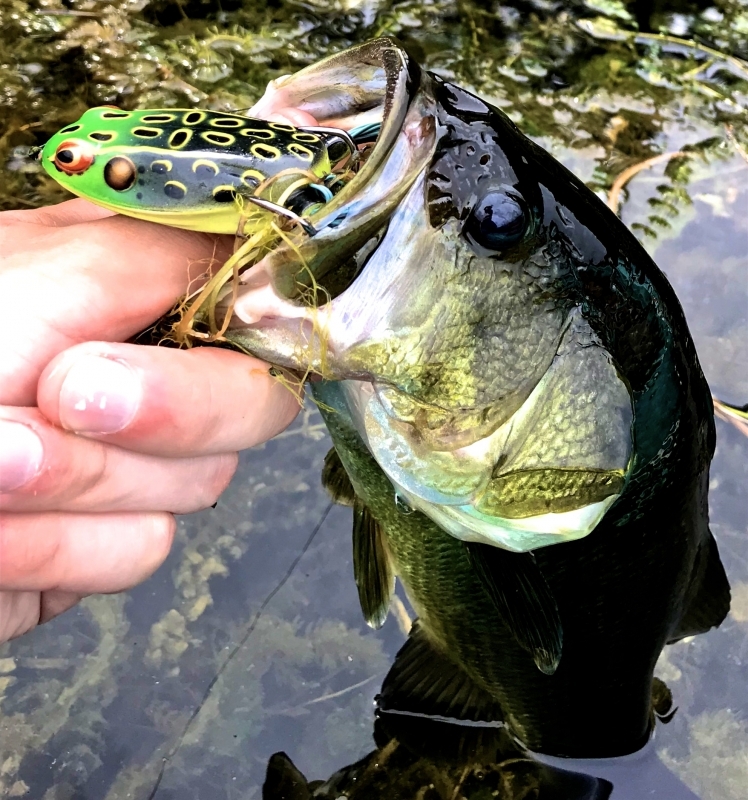 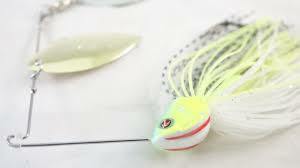 A Largemouth Bass “eats” this VOX Weedless Frog. 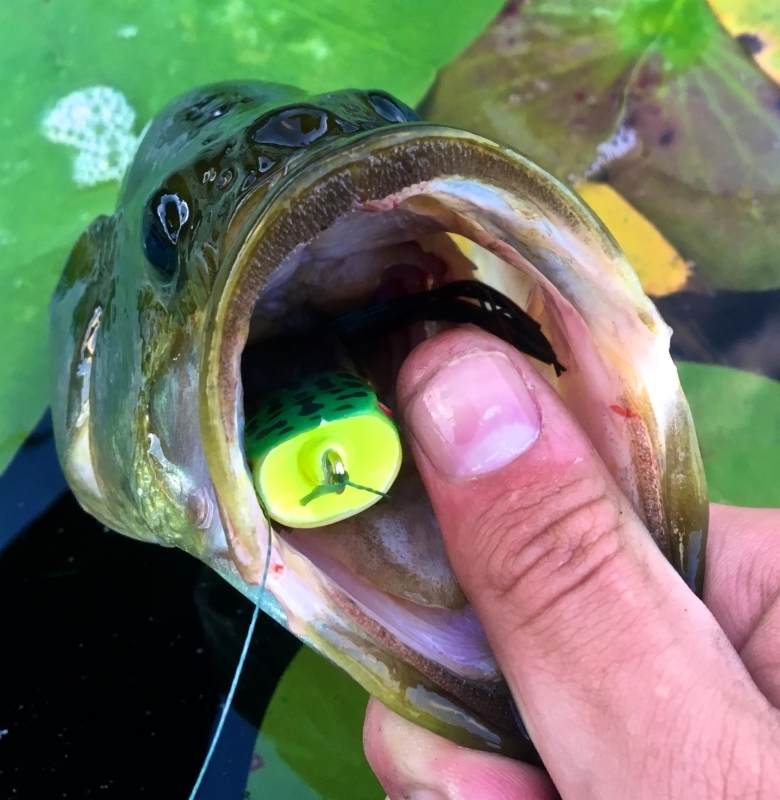 A Spro Weedless Frog “DEEP” in the mouth of a Guelph Lake Largemouth Bass. 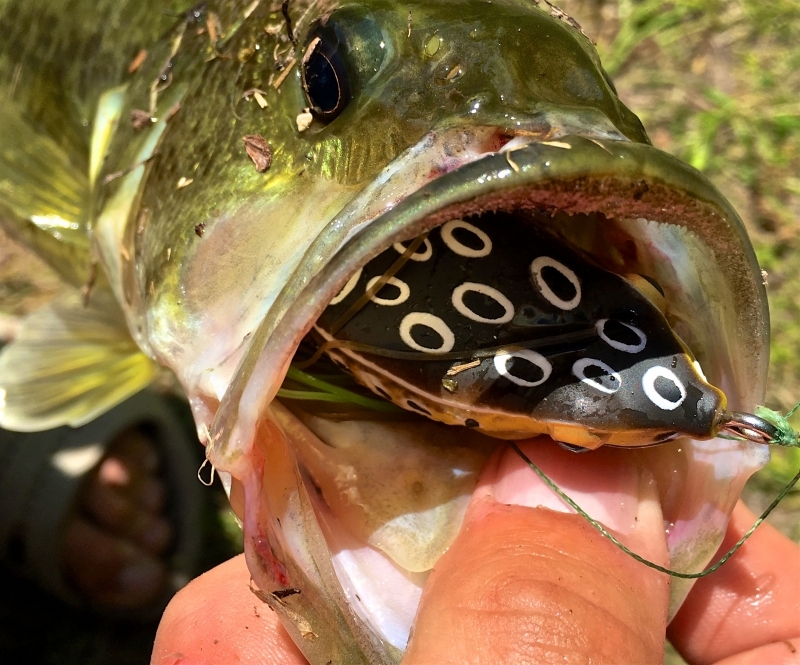 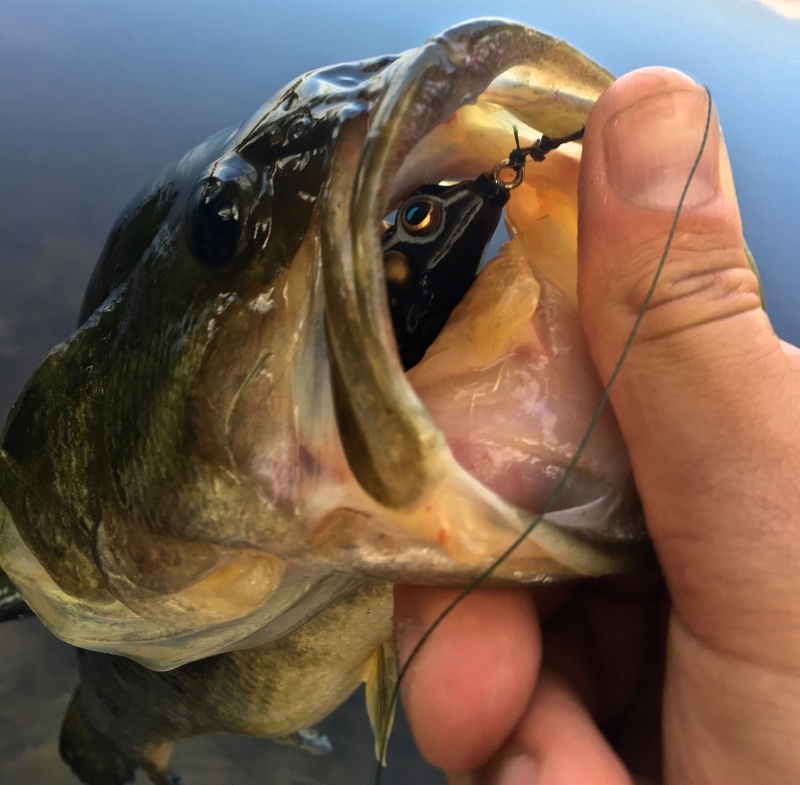 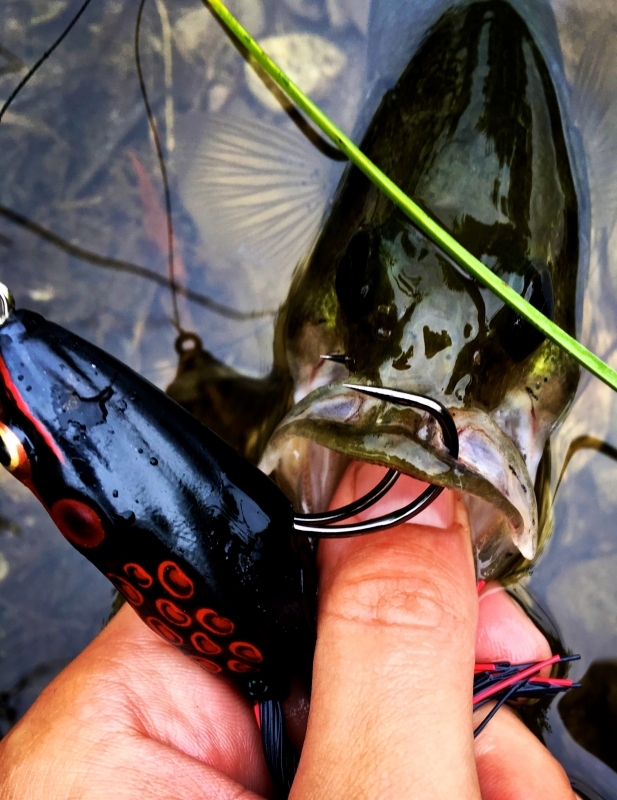 A Spro Weedless Frog “DEEP” in the mouth of a Largemouth Bass. 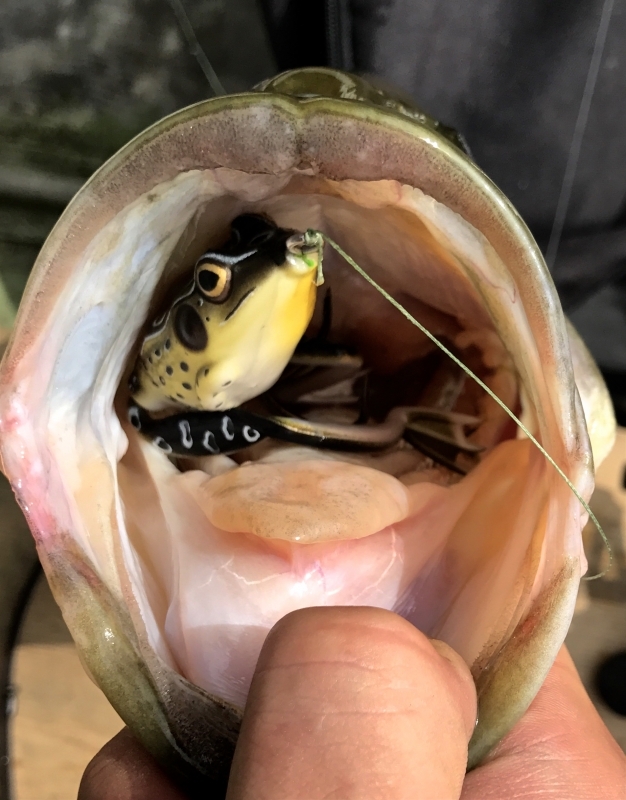 A Spro Weedless Frog “DEEP” in the mouth of a Ferry Lake Largemouth Bass. 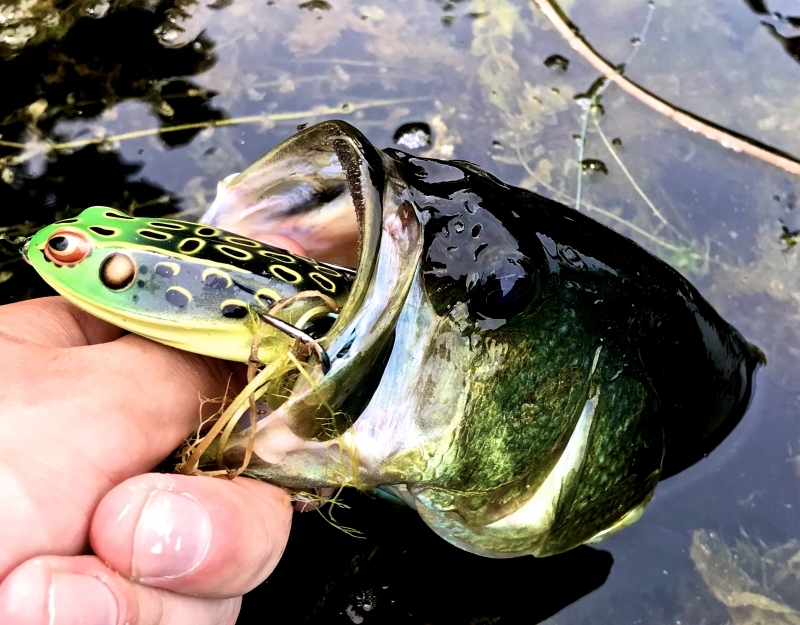 A Spro Weedless Frog in the mouth of a Guelph Lake Largemouth Bass. 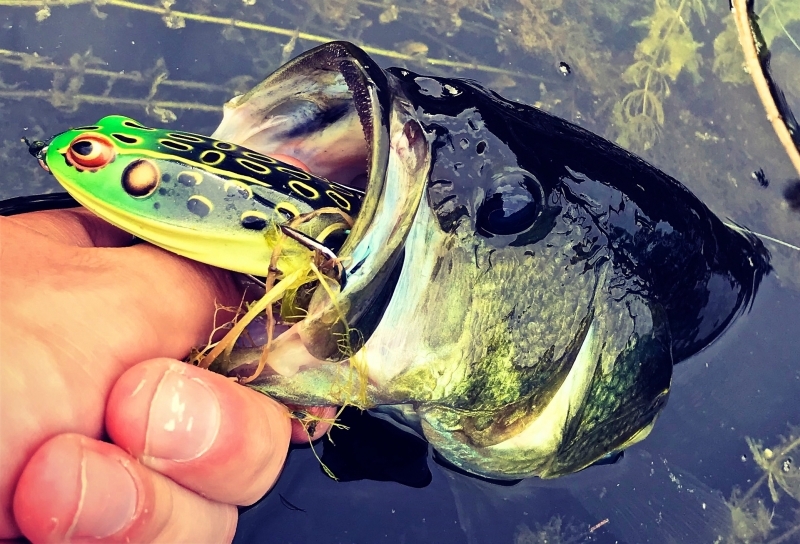 A Guelph Lake Largemouth Bass with a Spro Weedless Frog.